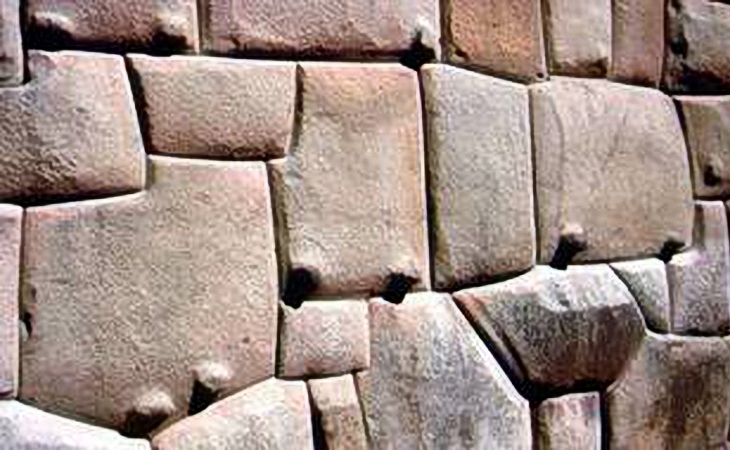 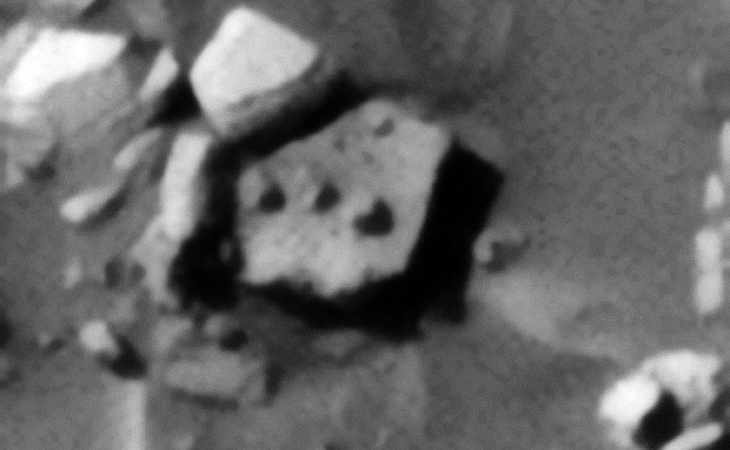 Were Megalithic Blocks with Knobs Manufactured on Mars? 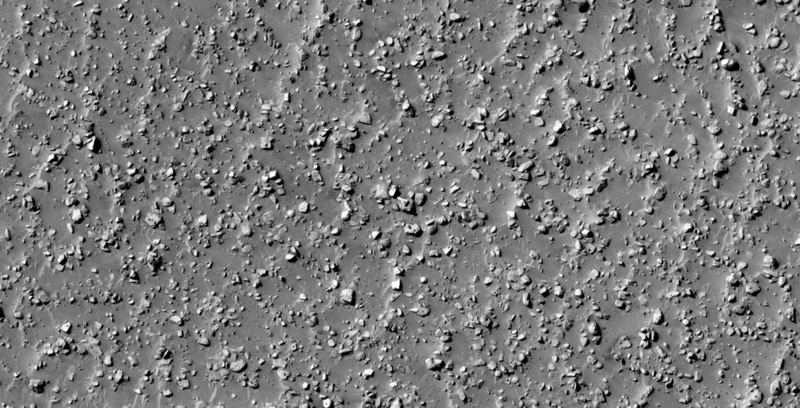 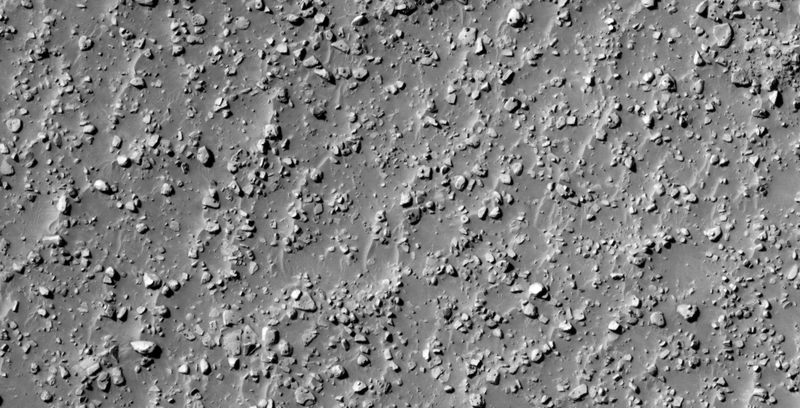 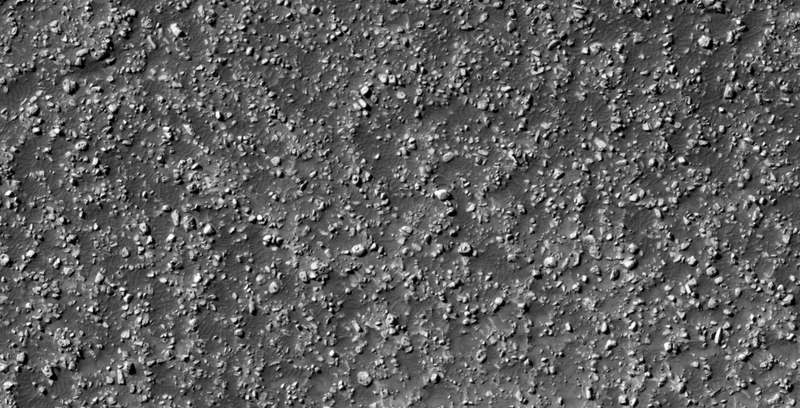 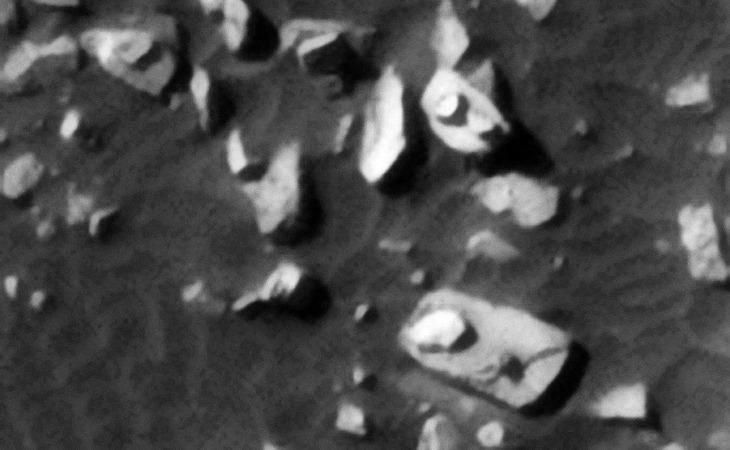 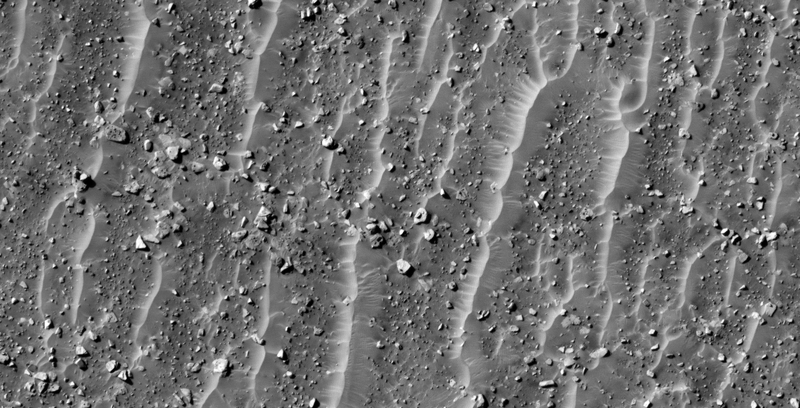 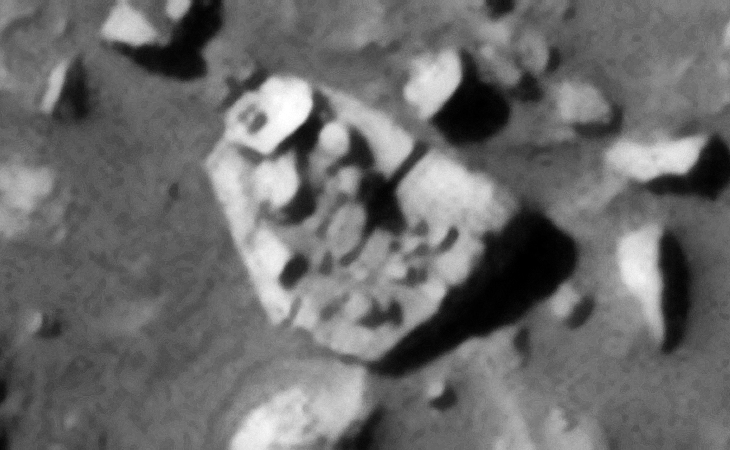 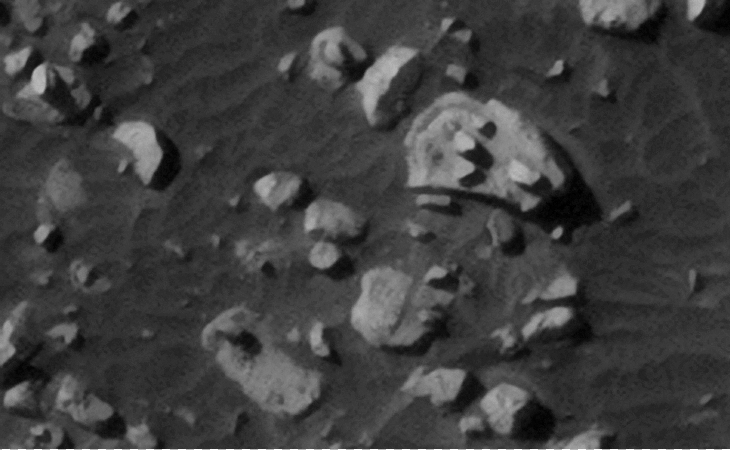 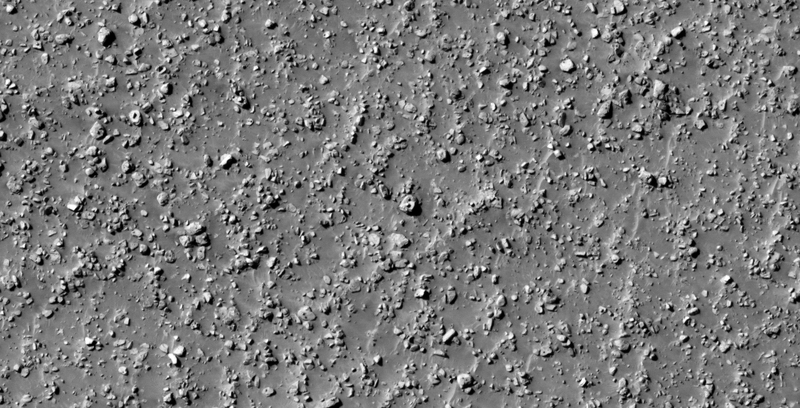 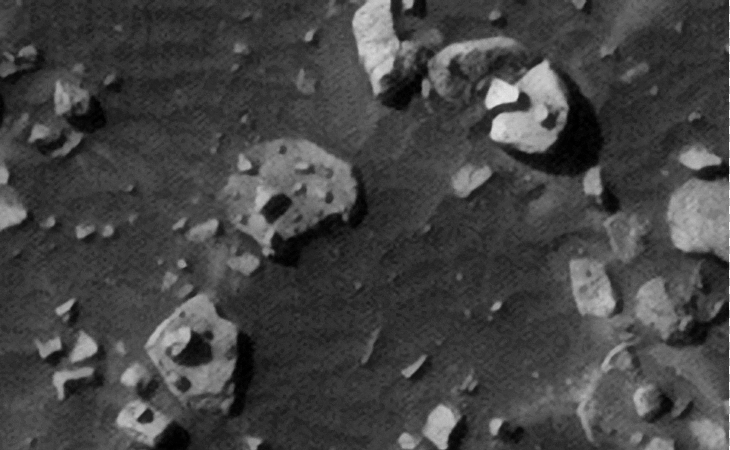 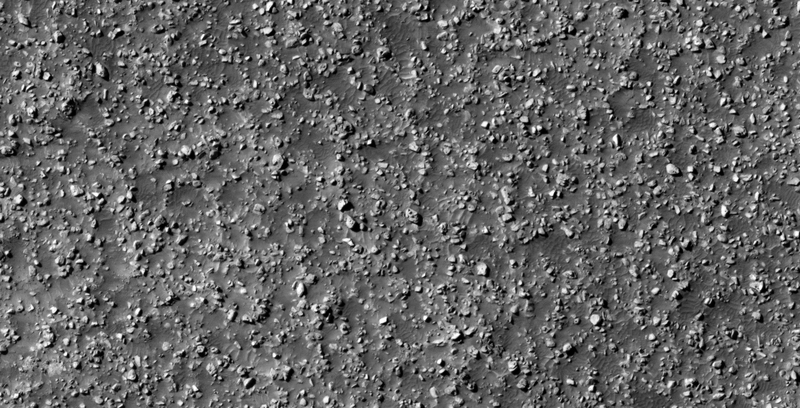 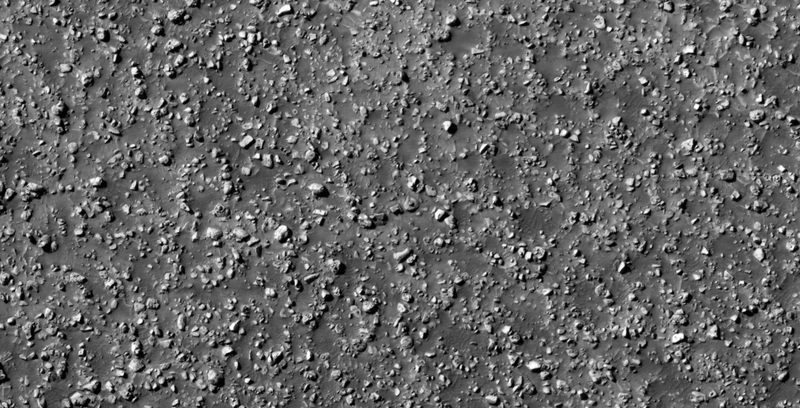 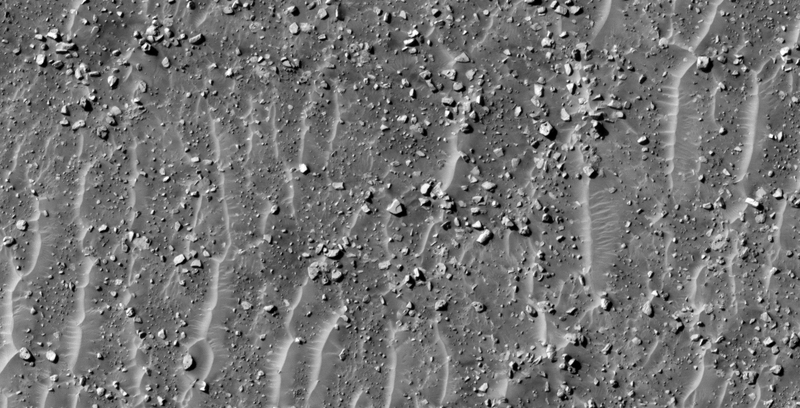 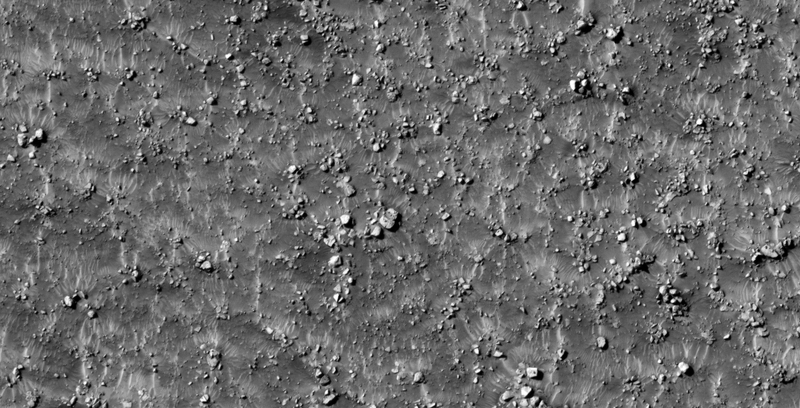 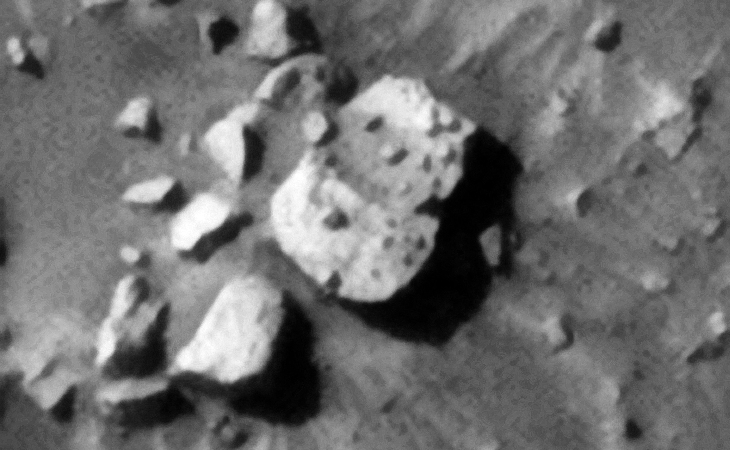 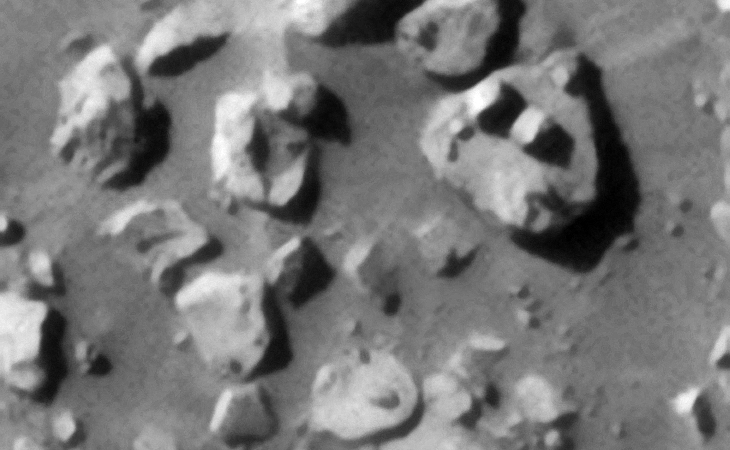 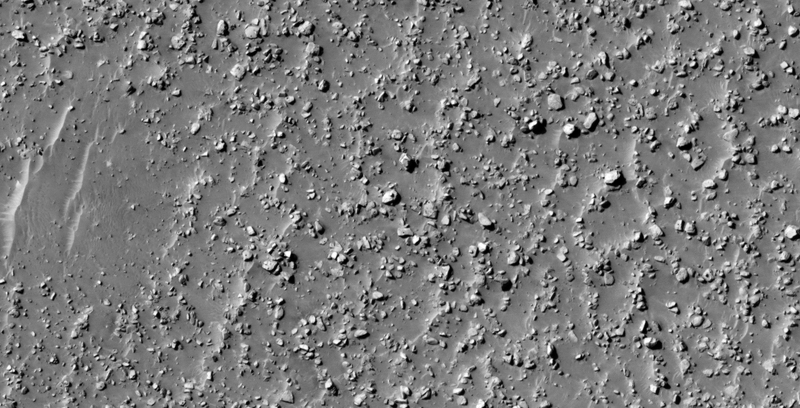 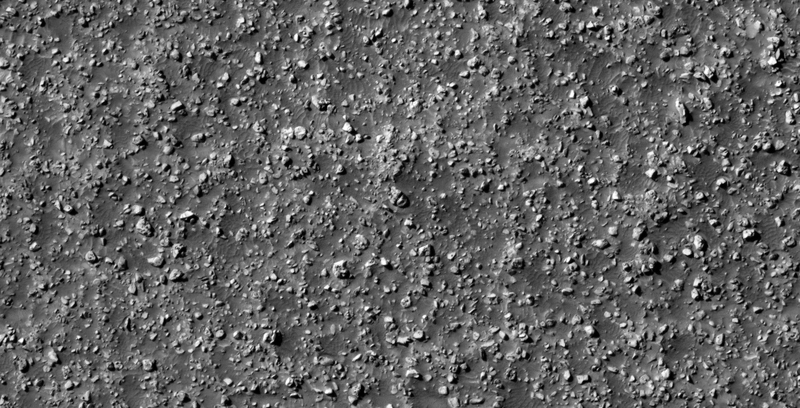 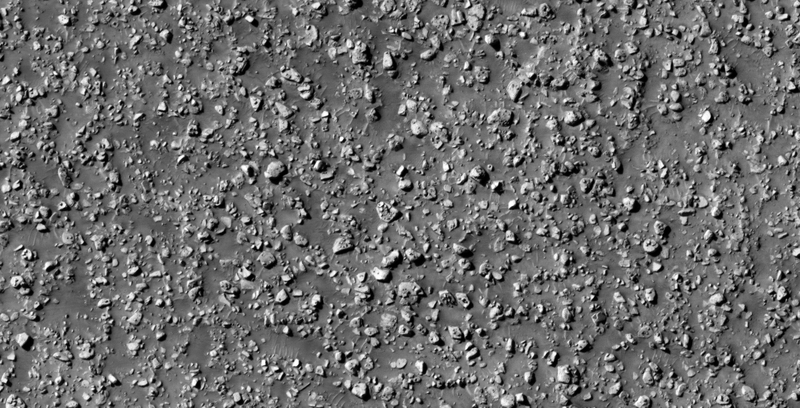 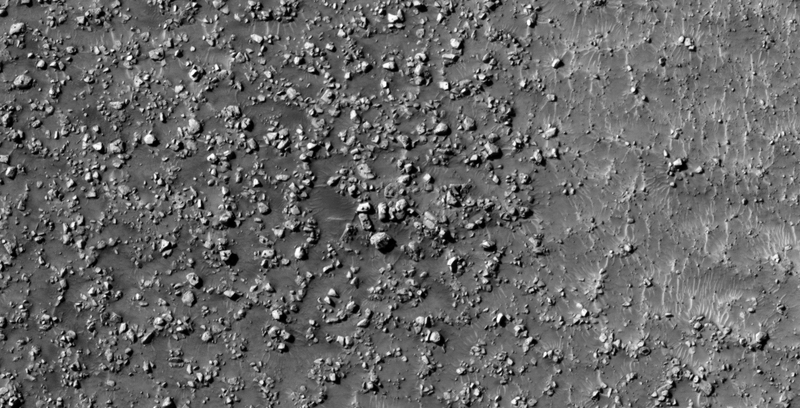 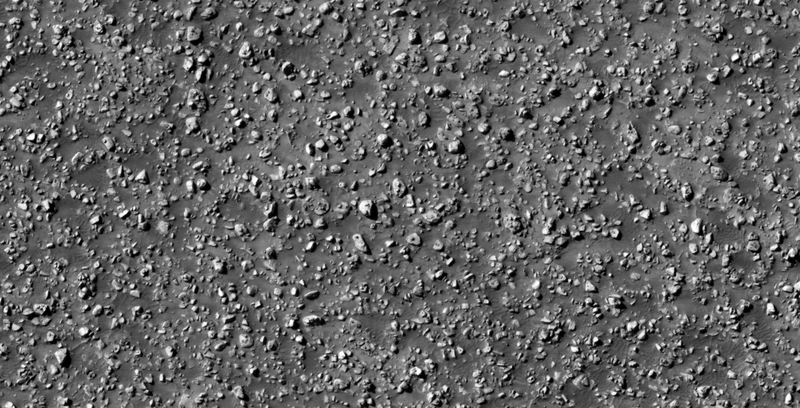 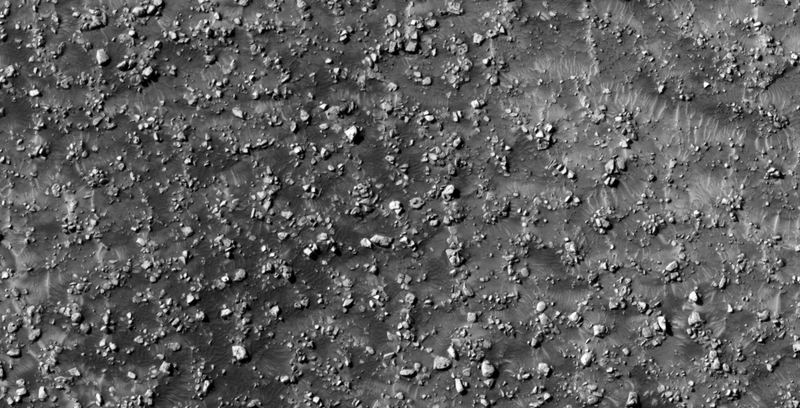 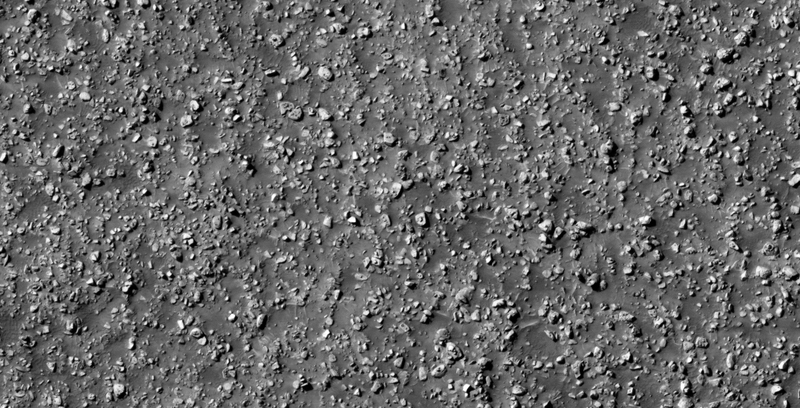 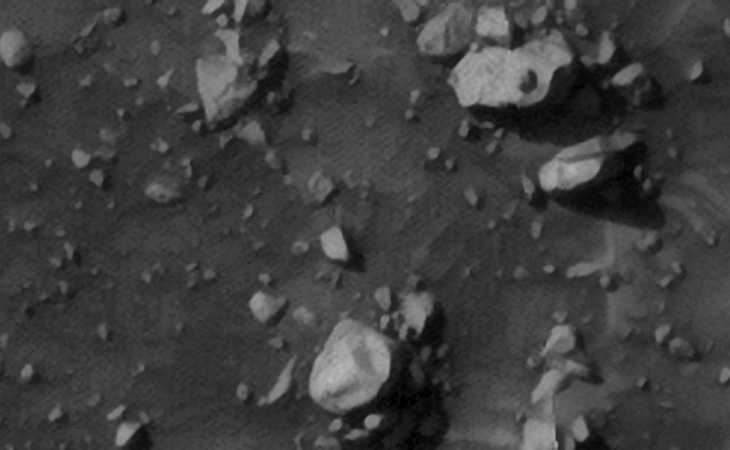 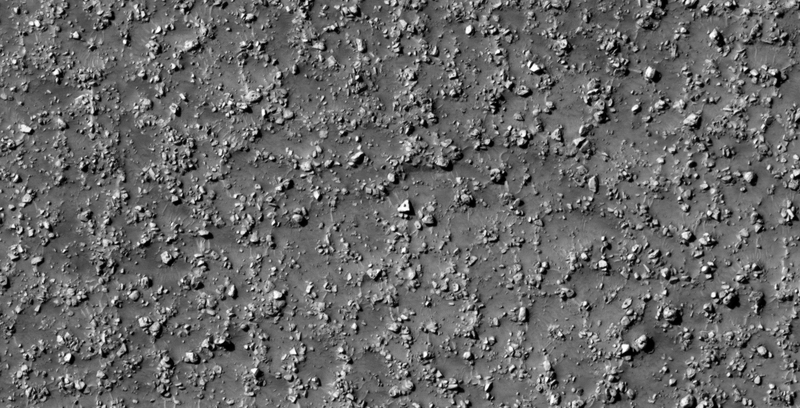 I discovered a vast terrain on Mars littered with what look like megalithic blocks with knobs. 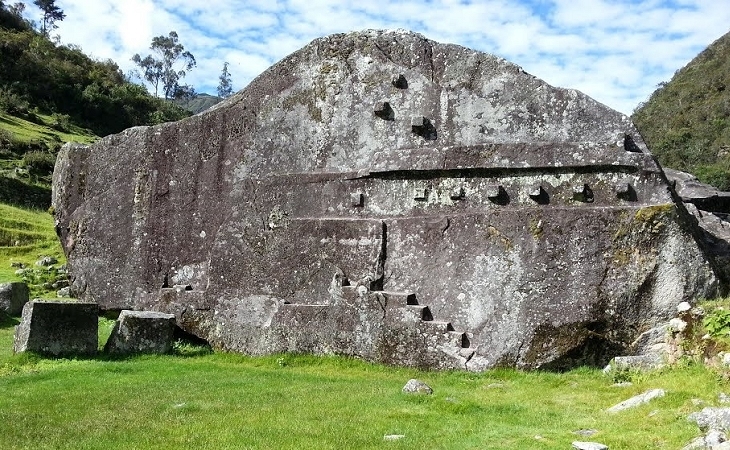 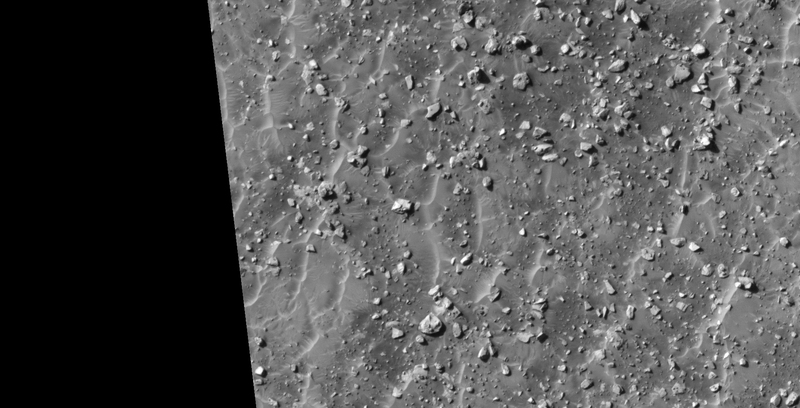 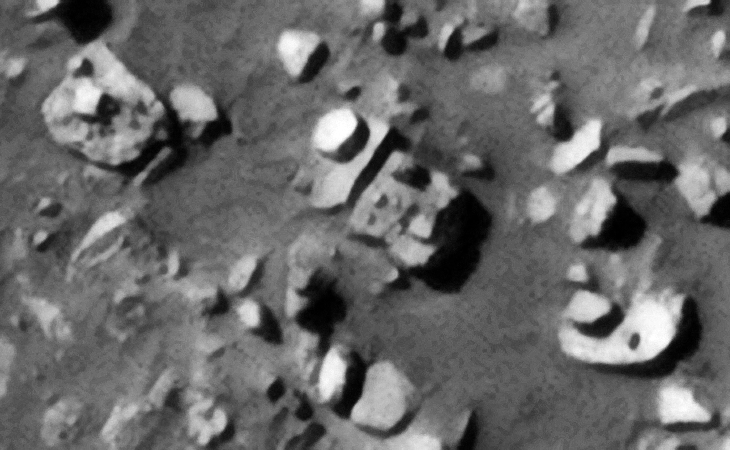 Due to the vast number I speculate that this area may have been a large-scale megalithic block manufacturing site otherwise these are remnants of destroyed ancient buildings/structures. 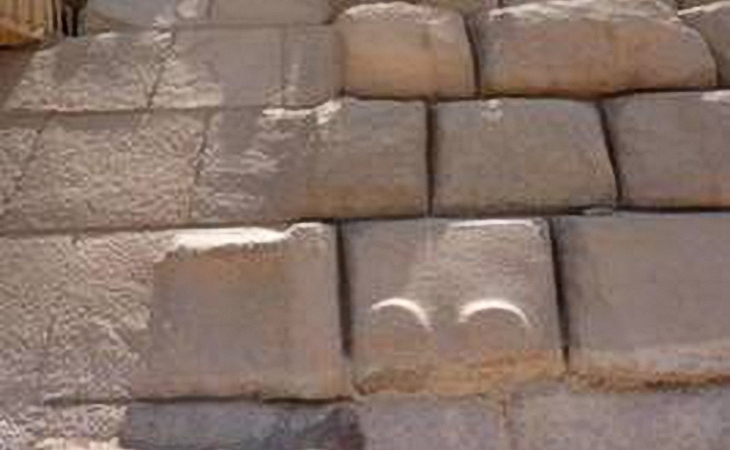 others speculate these were used to align joins. 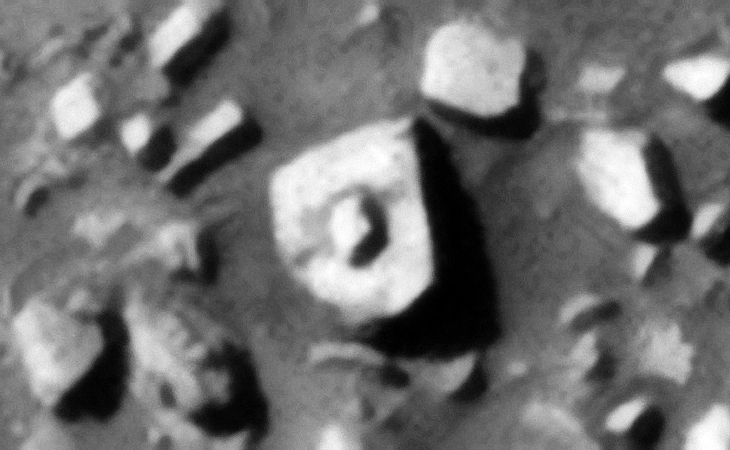 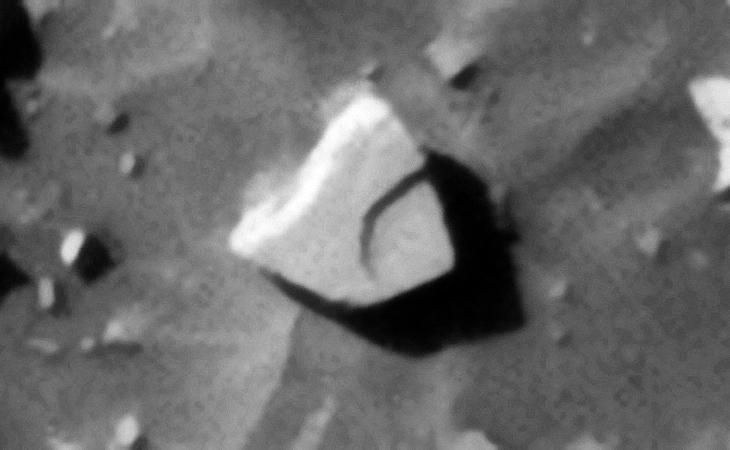 The Megaliths on Mars, many of which have virtually the same proportions and size, have knobs mostly located in their centres which may indicate they have been manufactured flat on the Martian surface using metal sheet-type moulds to form the shapes. 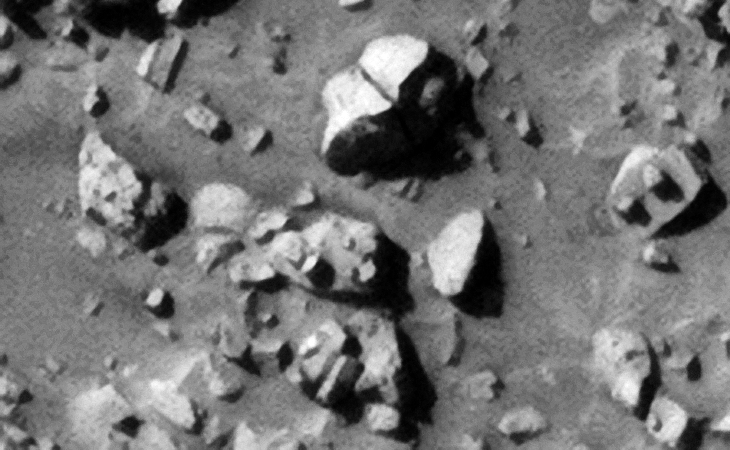 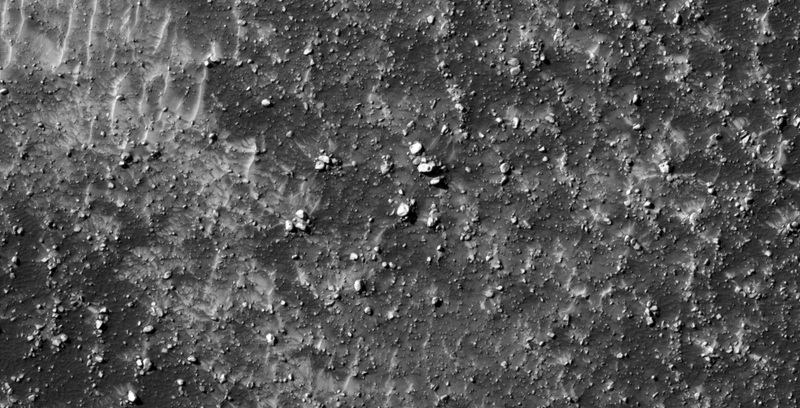 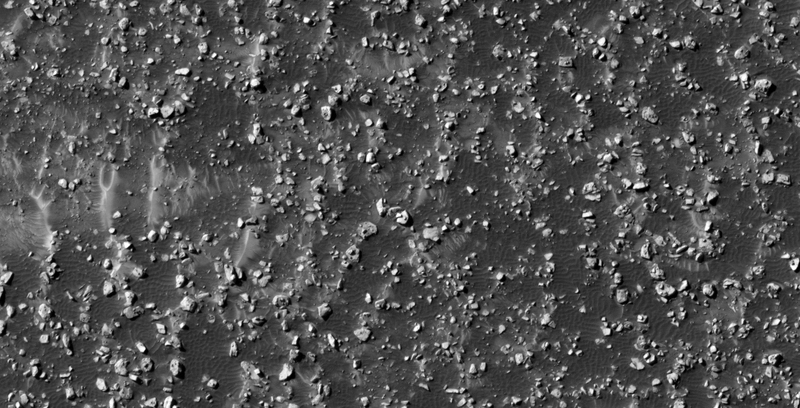 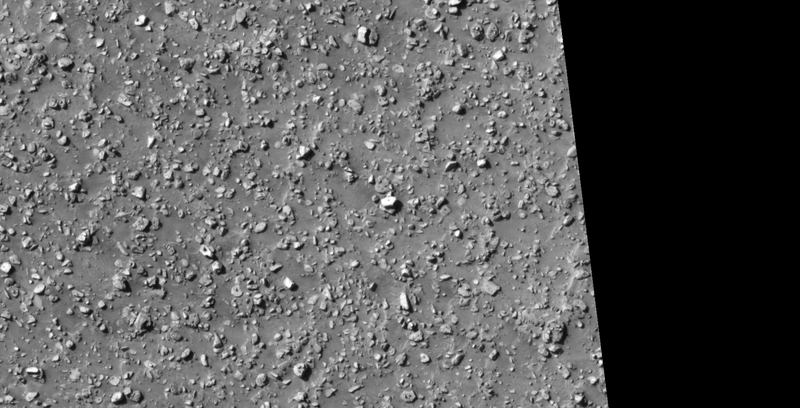 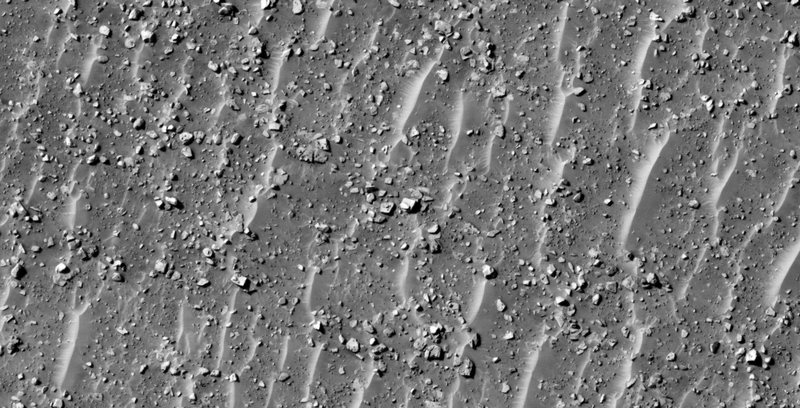 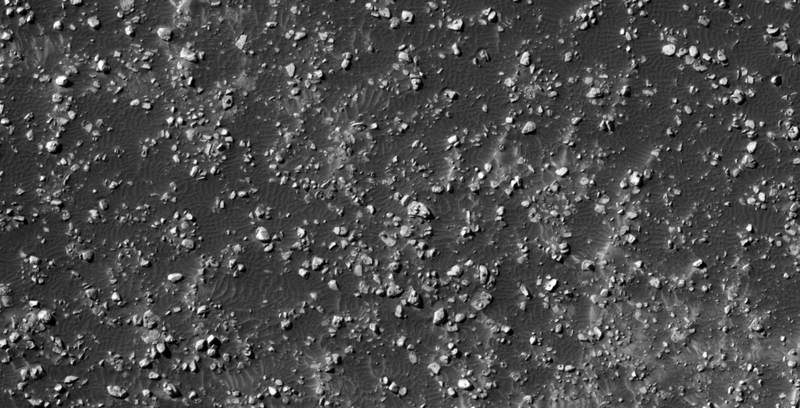 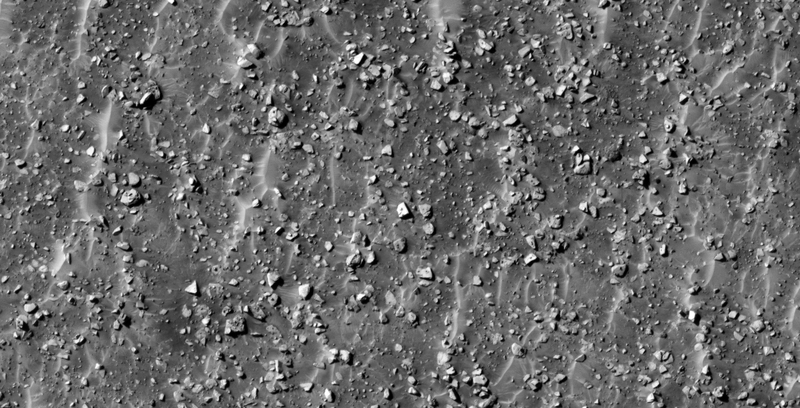 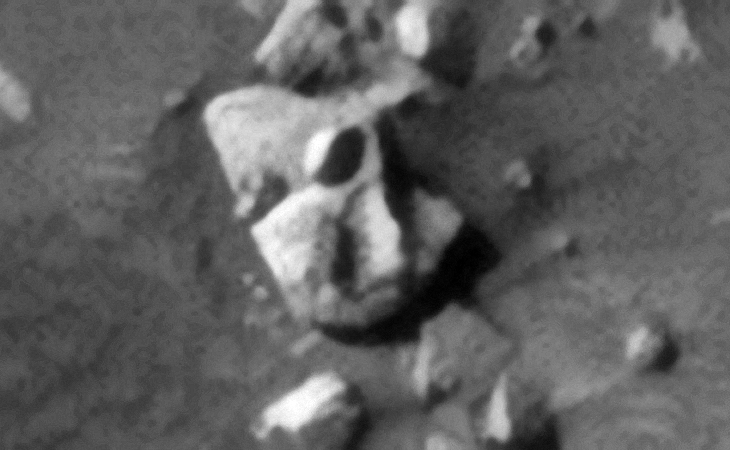 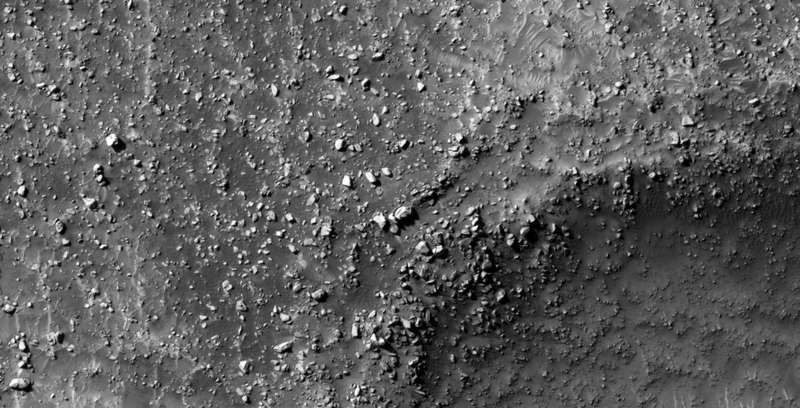 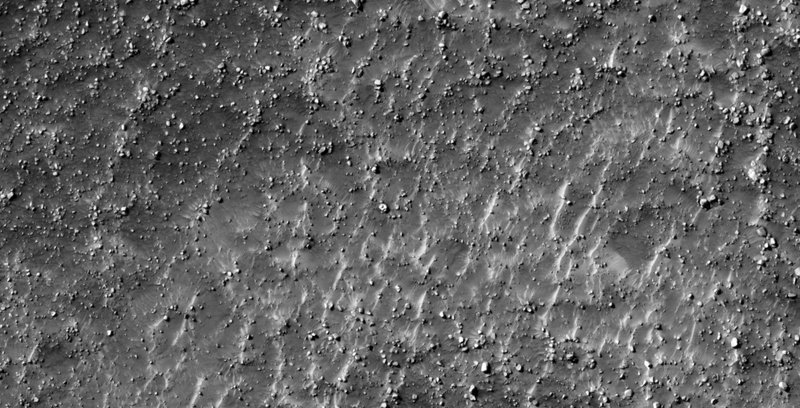 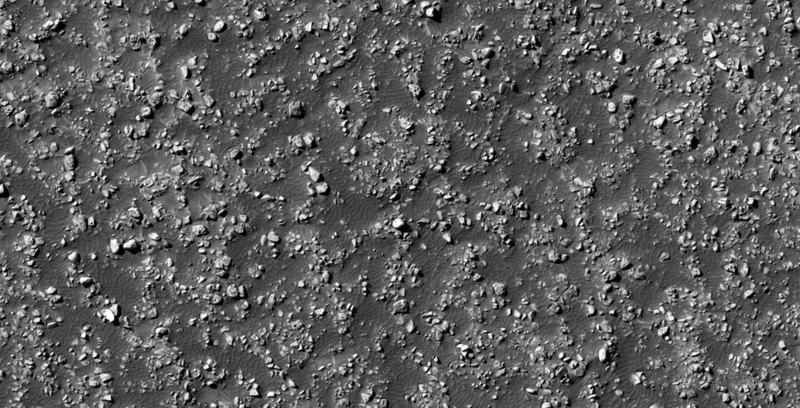 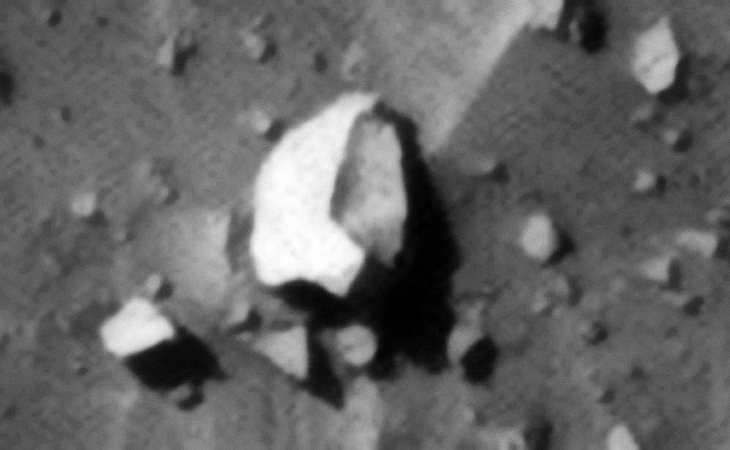 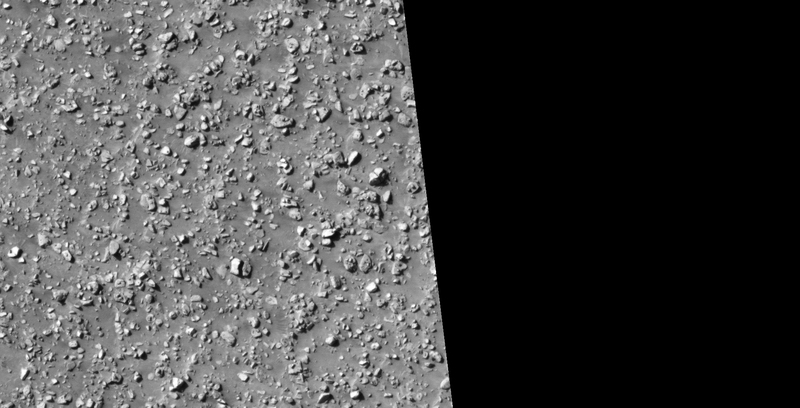 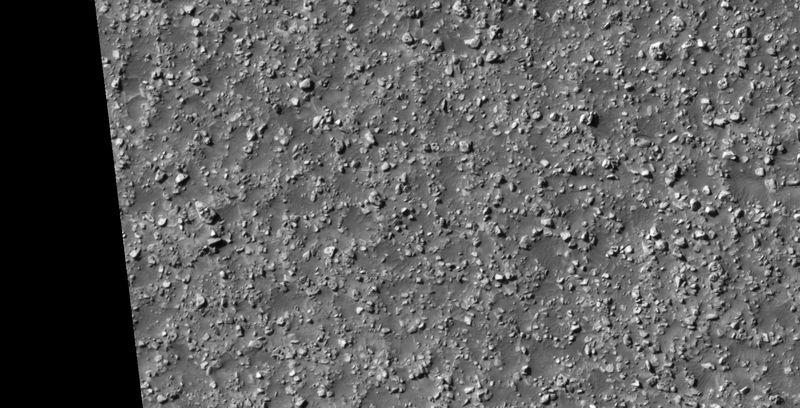 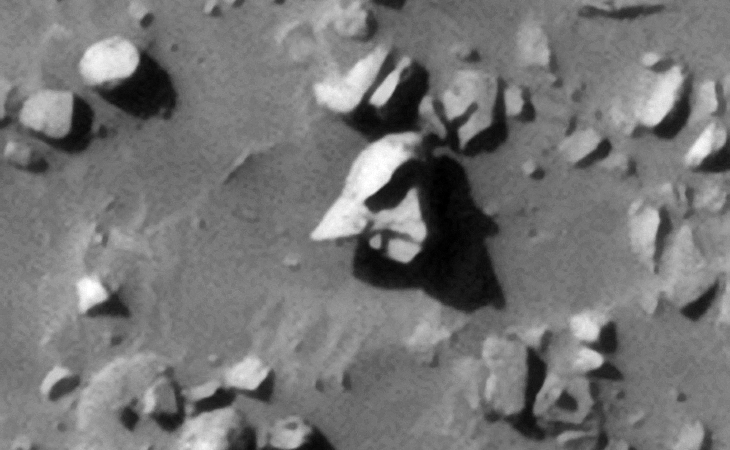 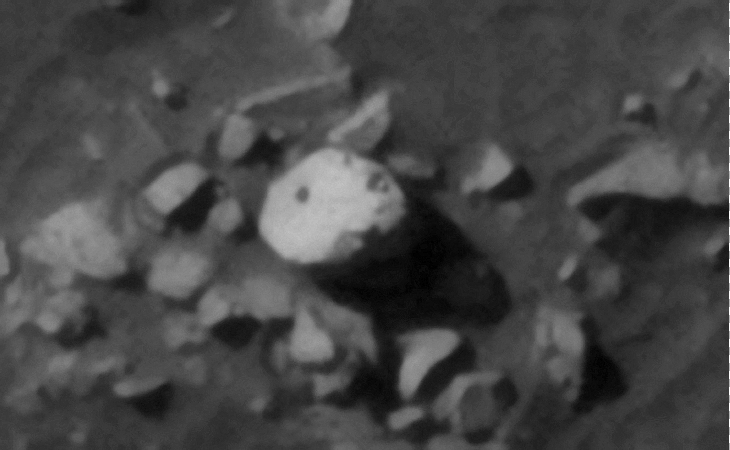 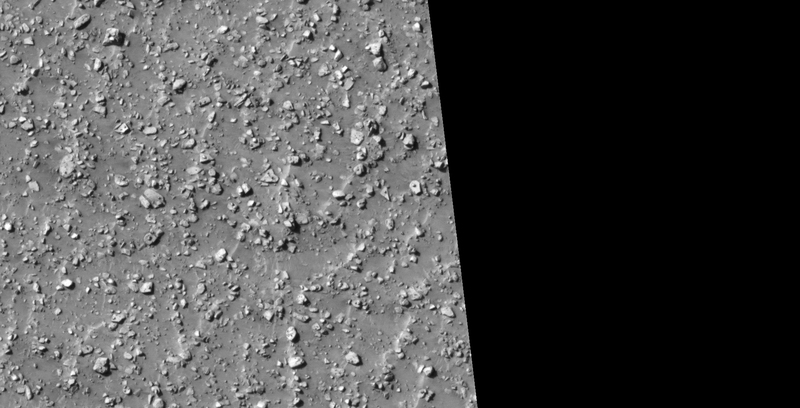 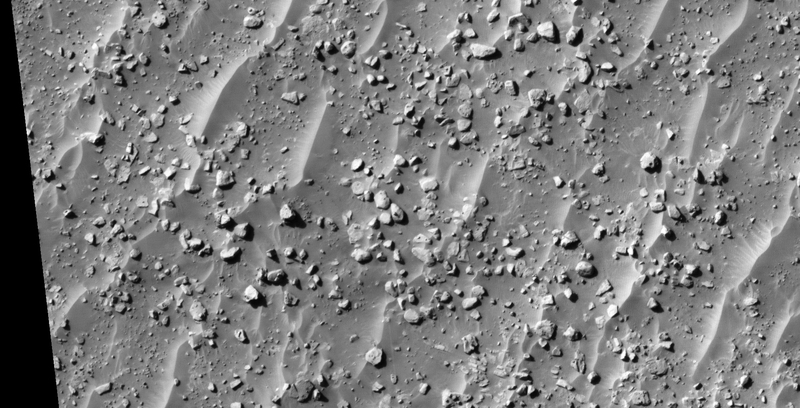 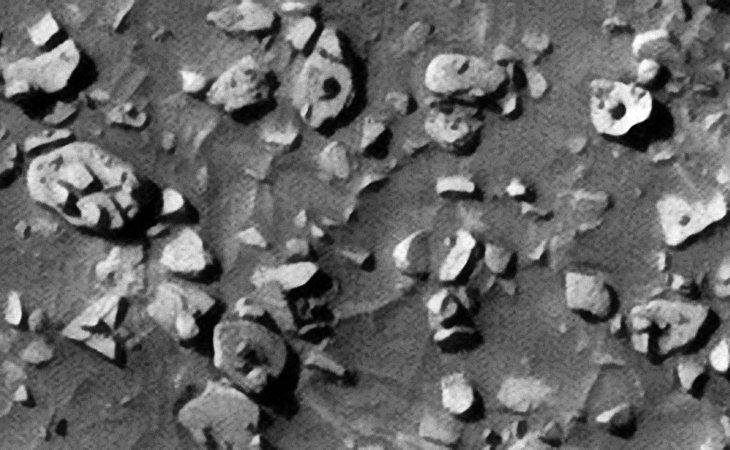 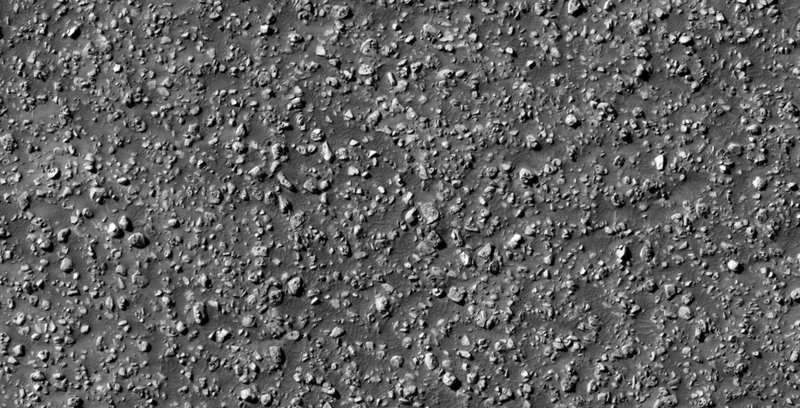 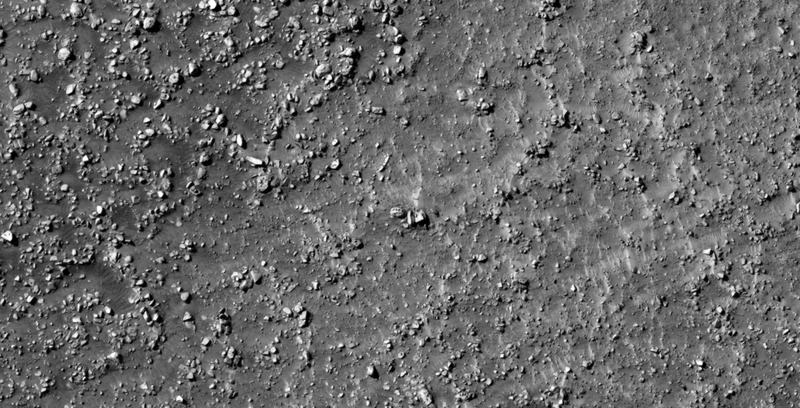 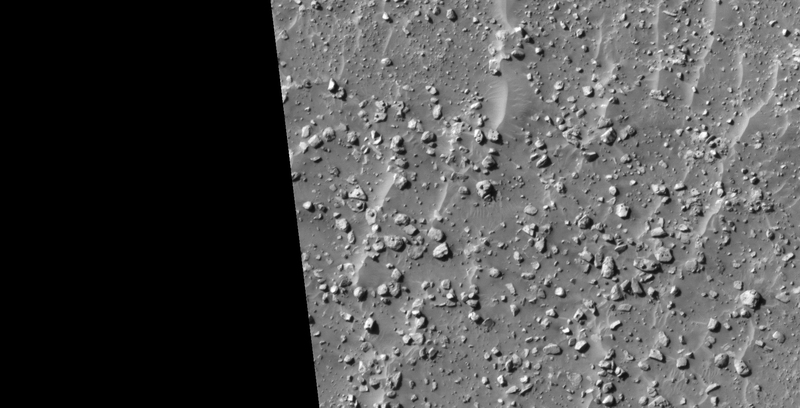 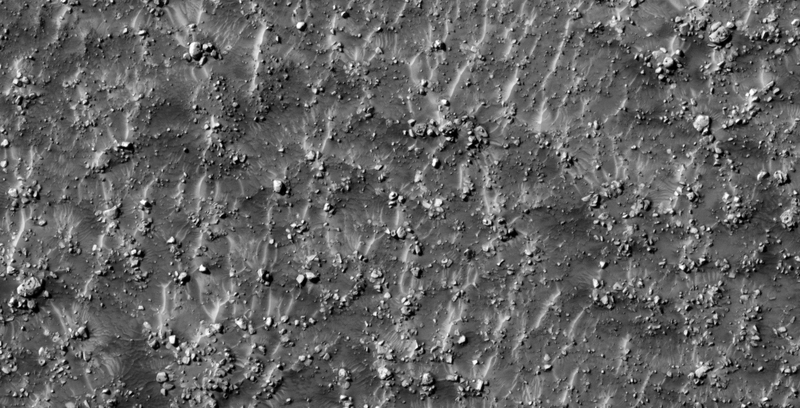 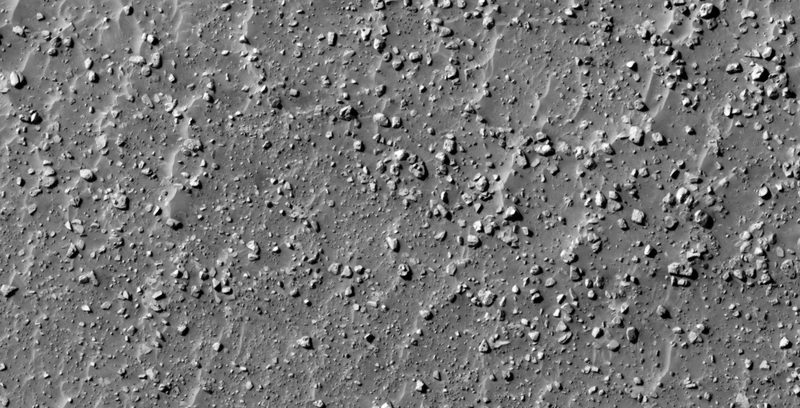 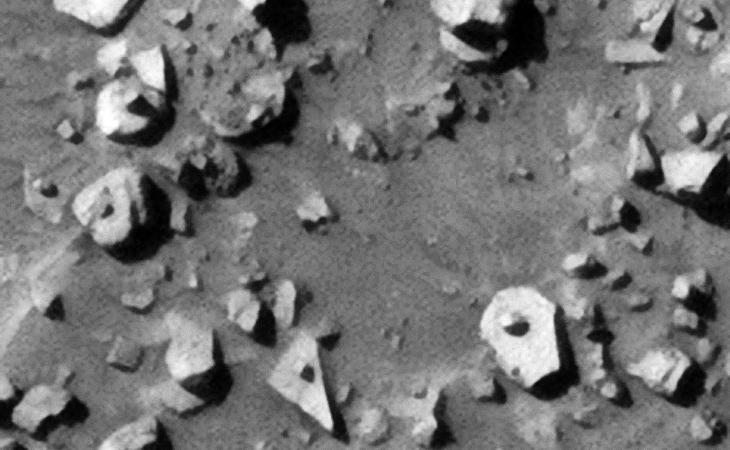 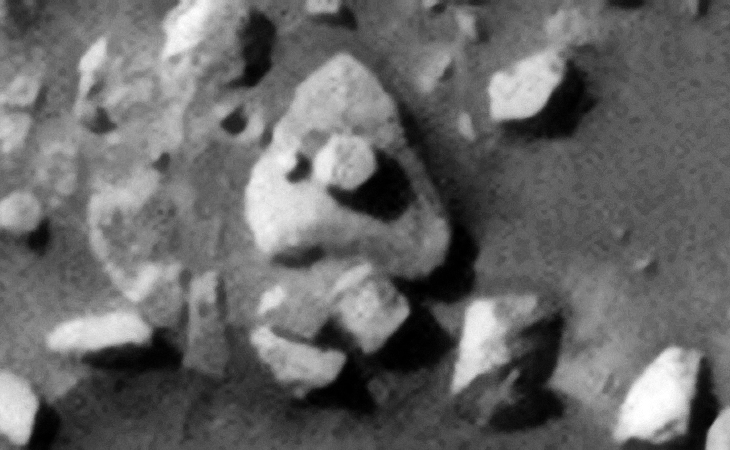 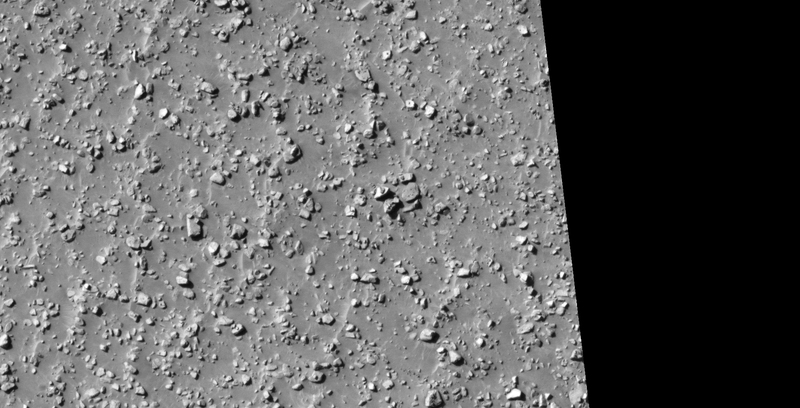 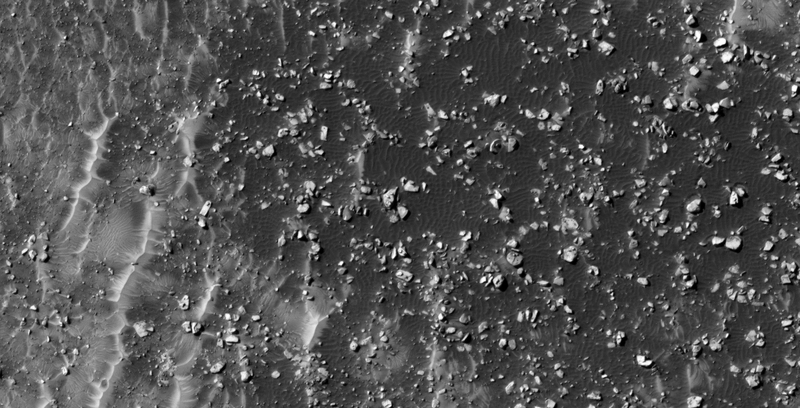 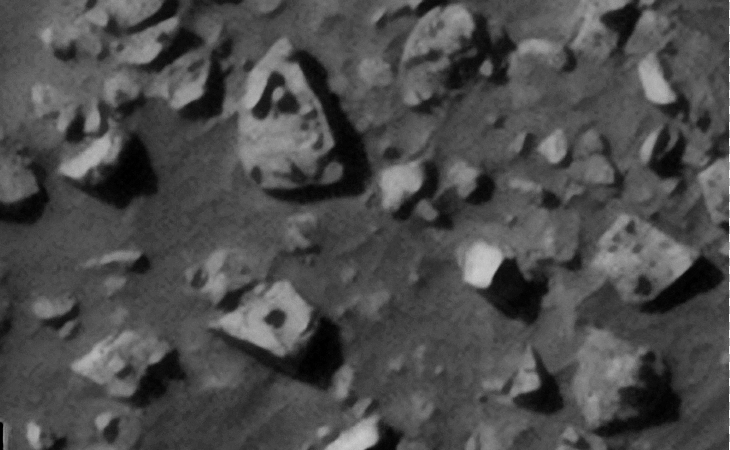 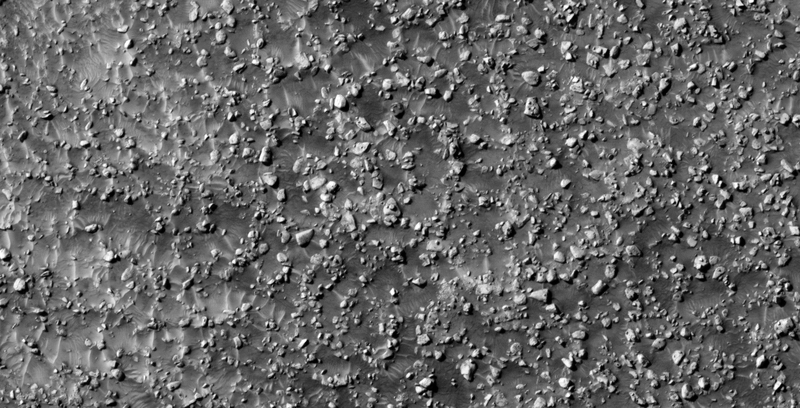 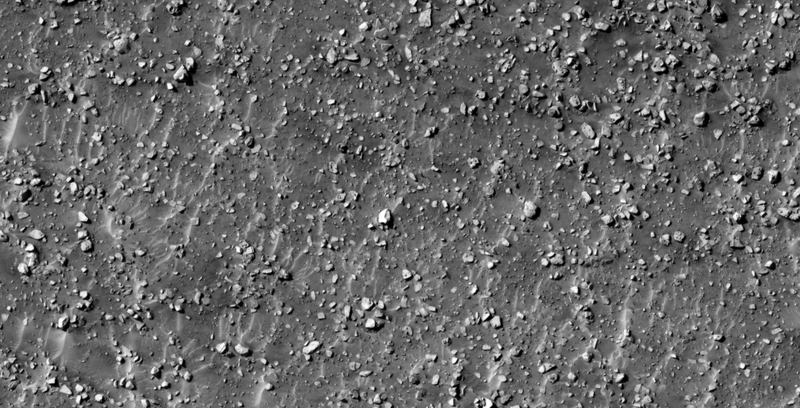 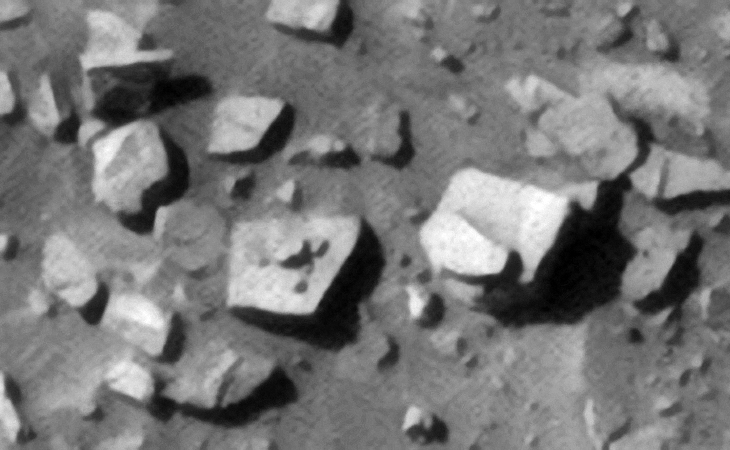 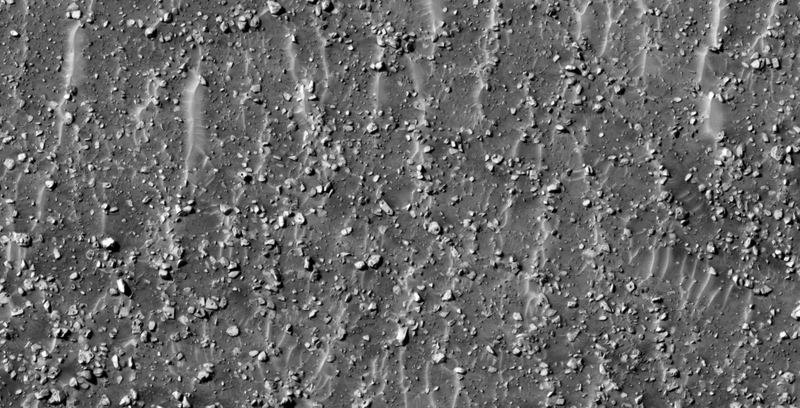 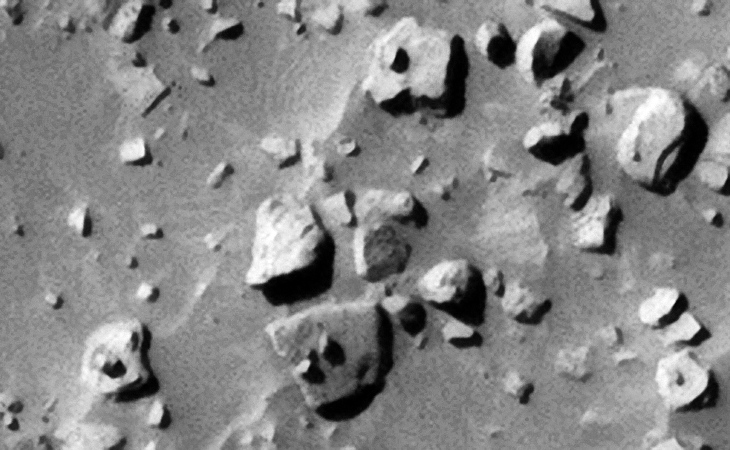 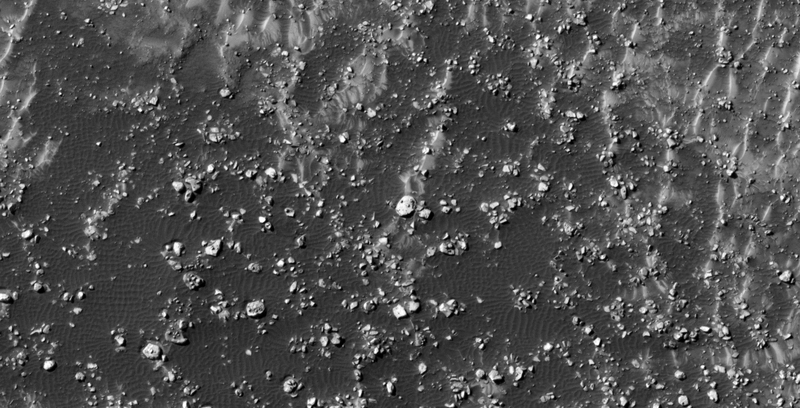 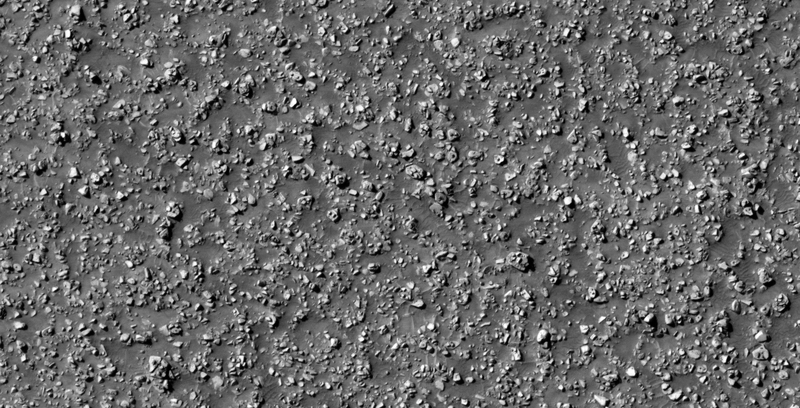 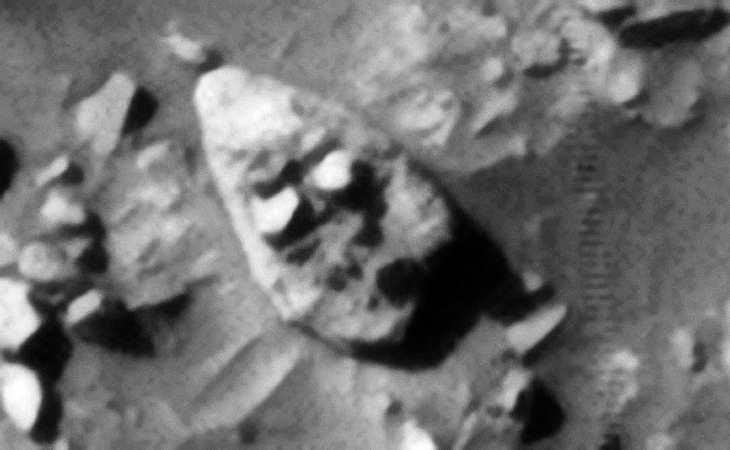 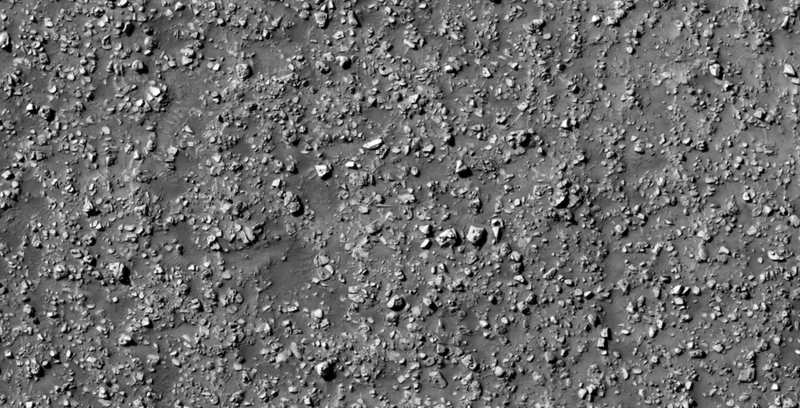 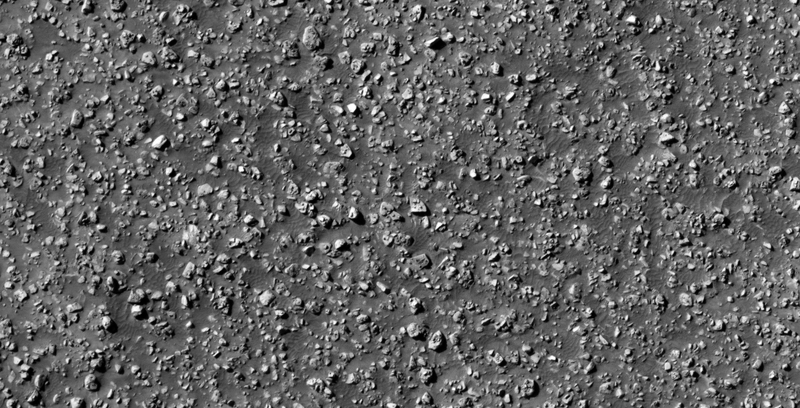 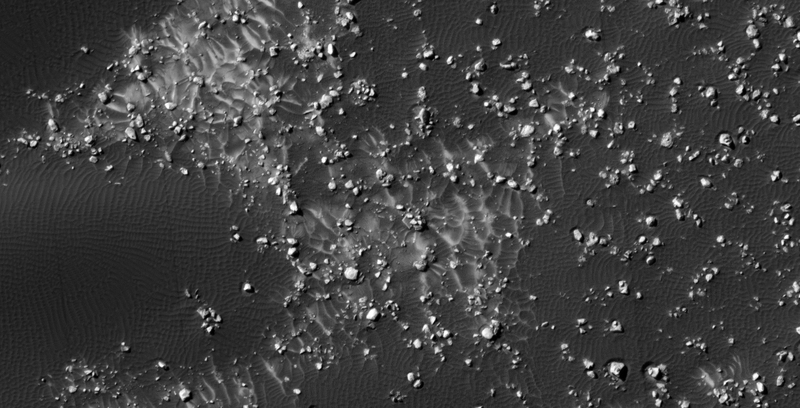 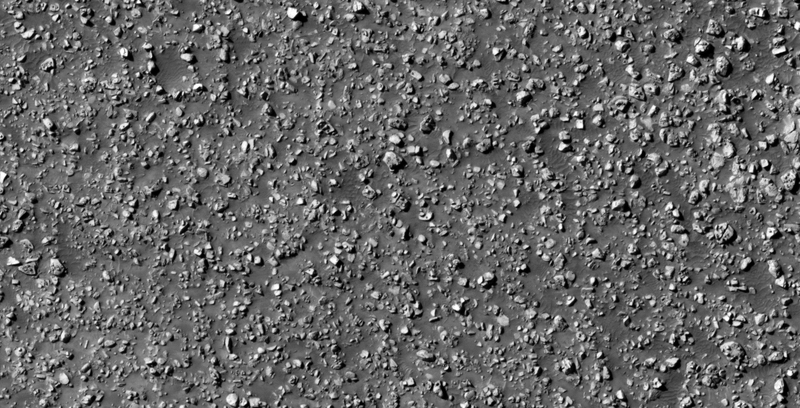 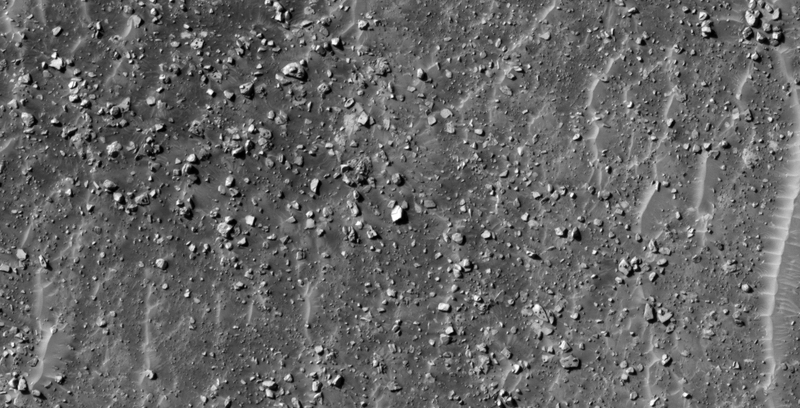 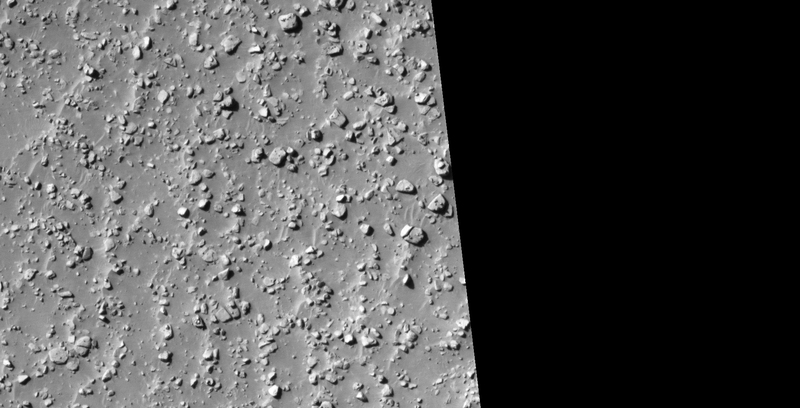 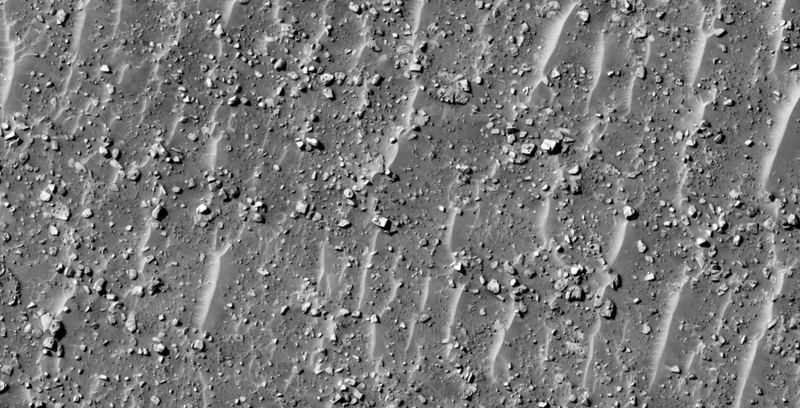 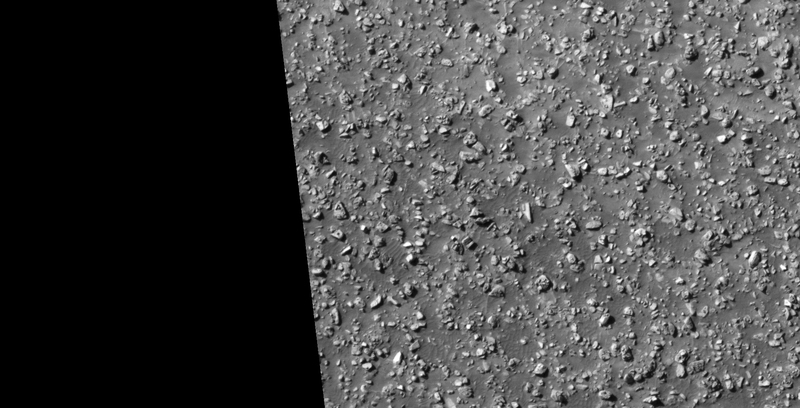 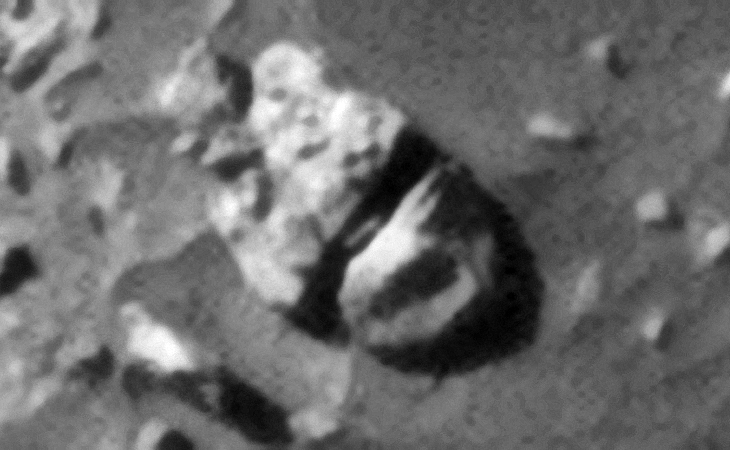 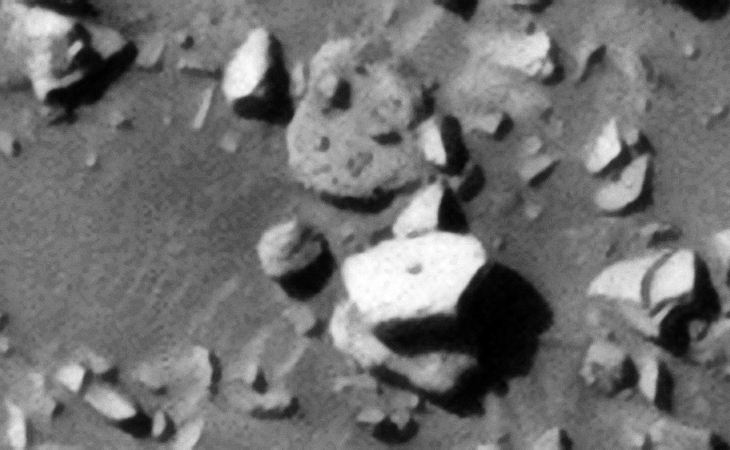 Whatever the reason for the knobs, finding a vast number of these megalithic stones with knobs on Mars is highly unusual. 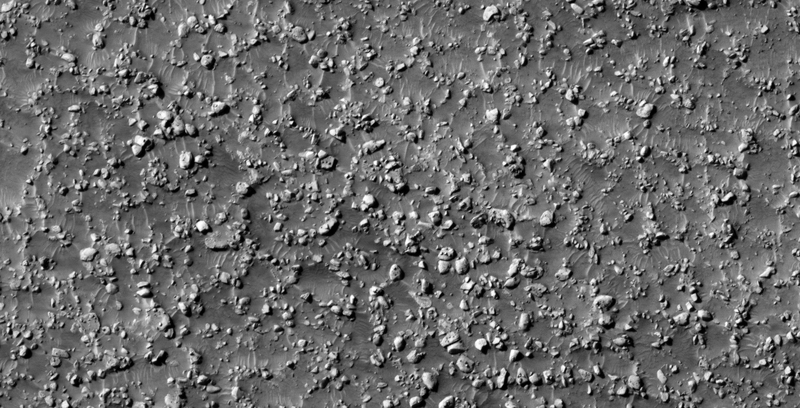 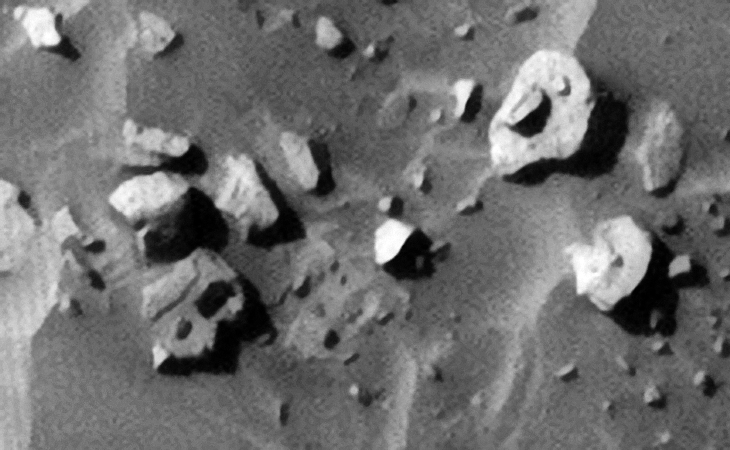 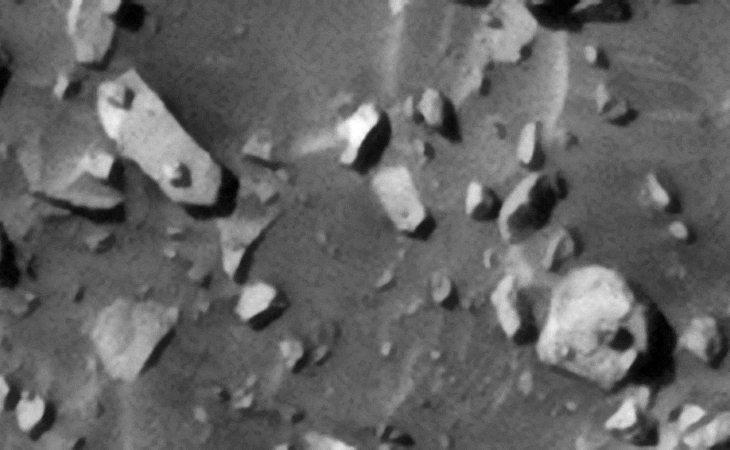 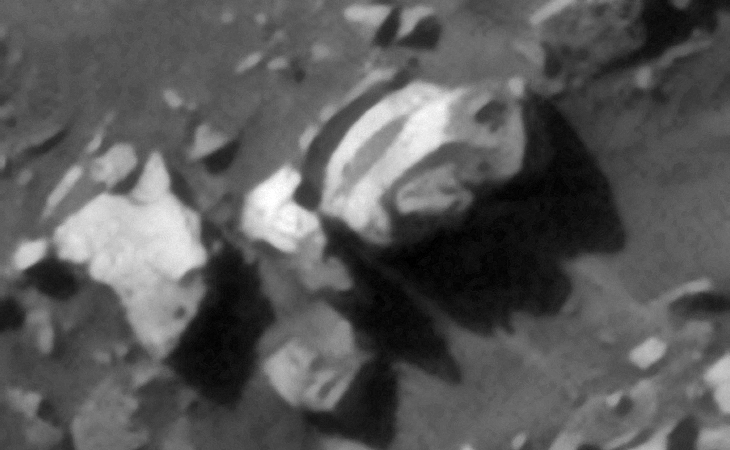 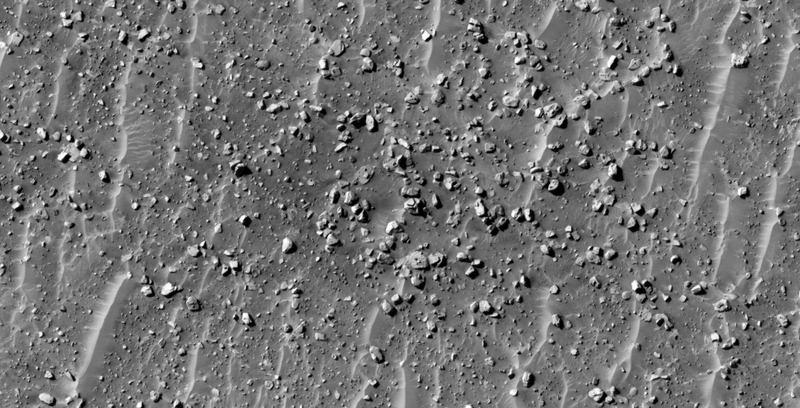 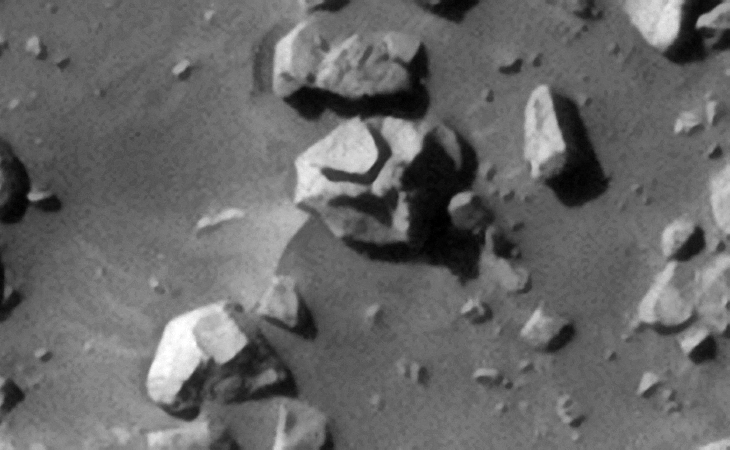 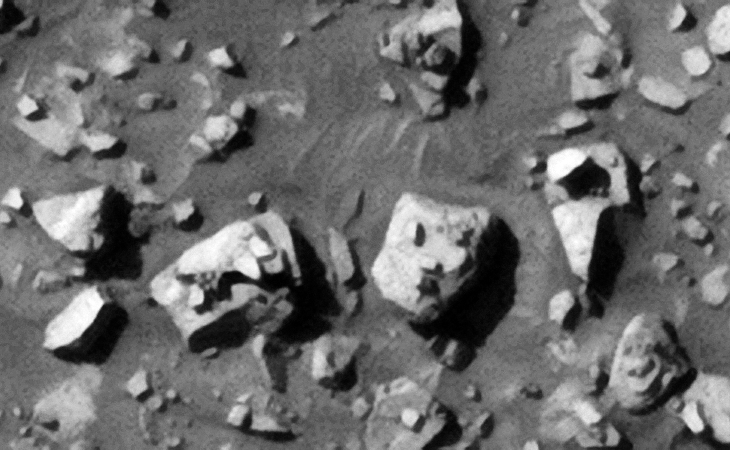 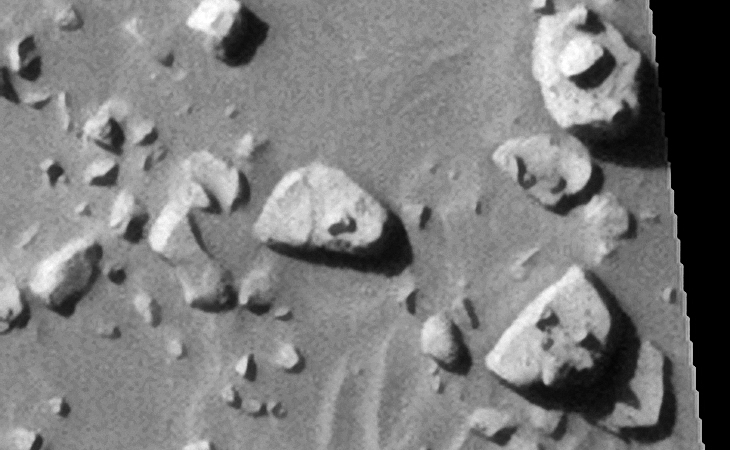 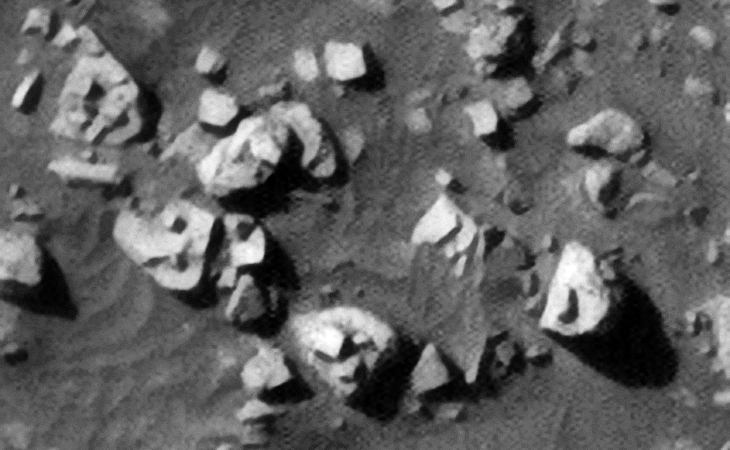 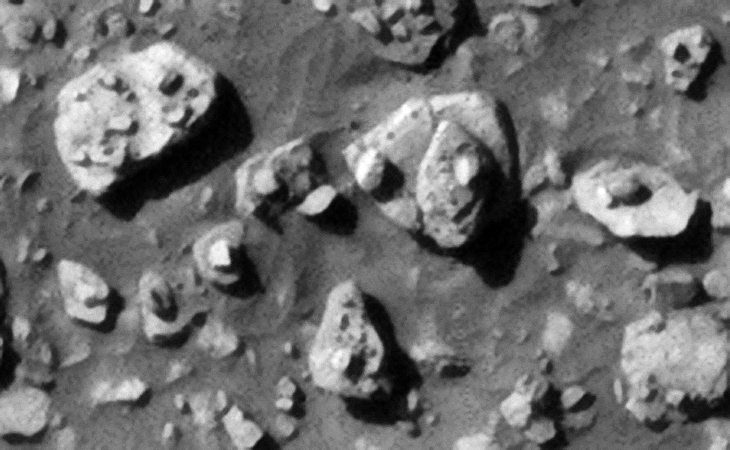 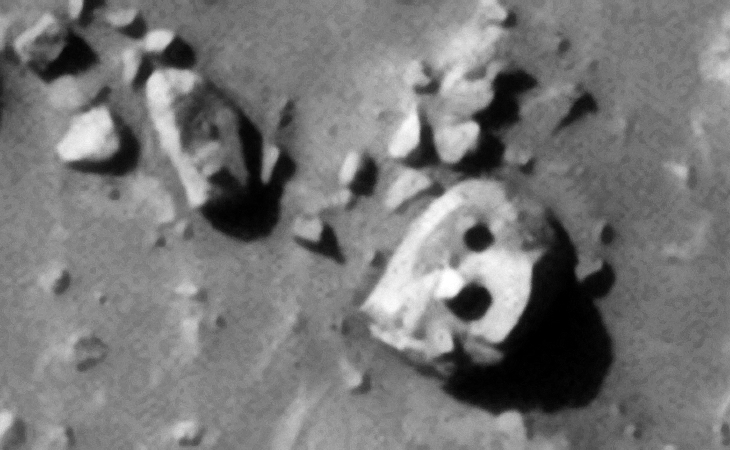 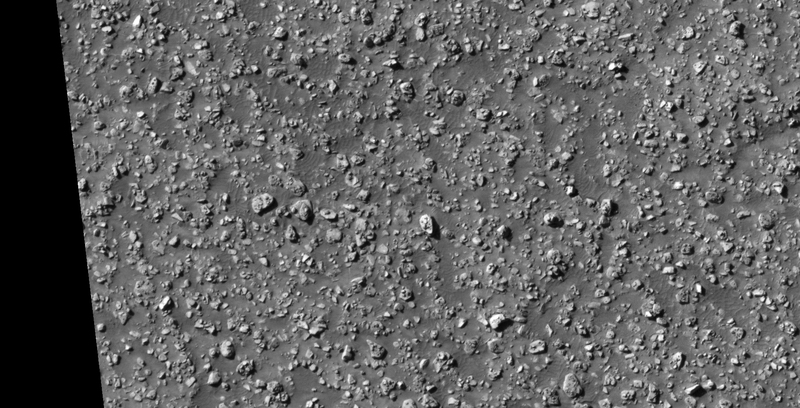 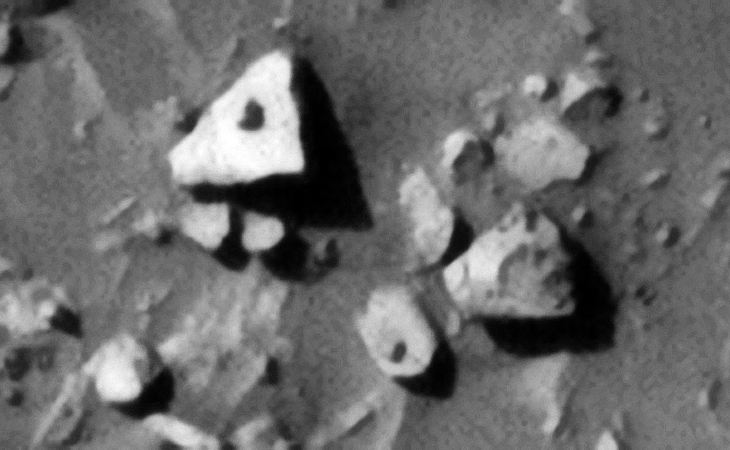 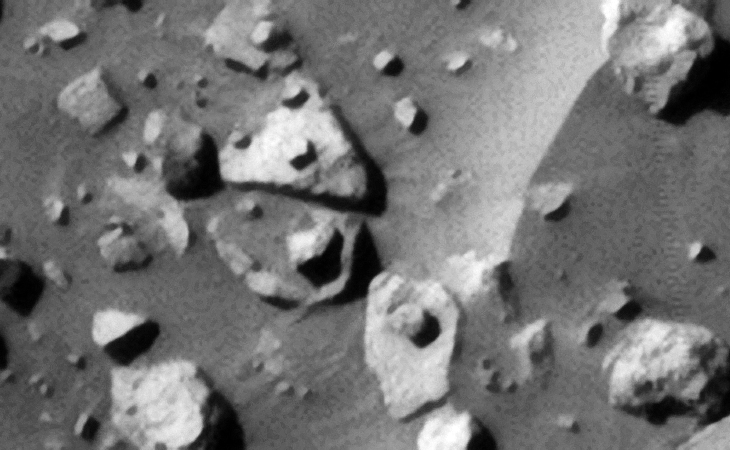 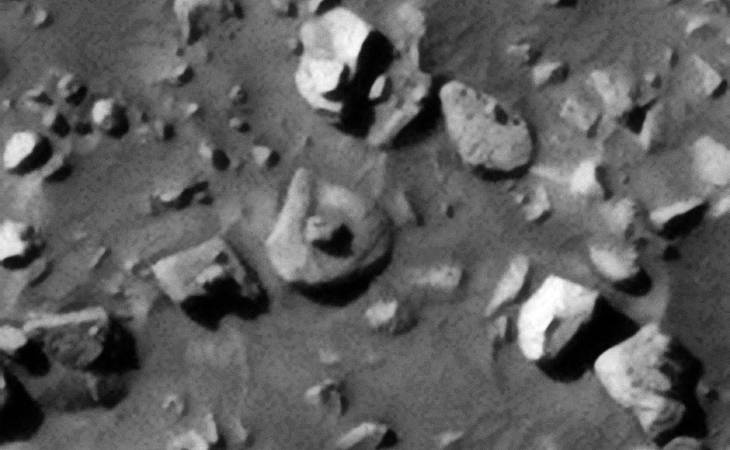 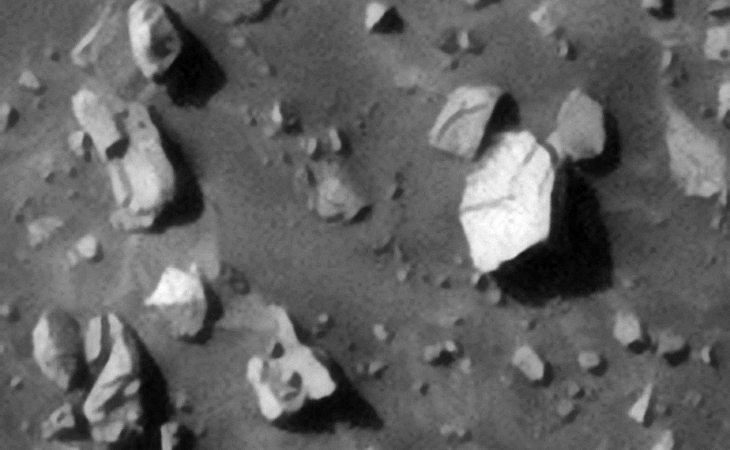 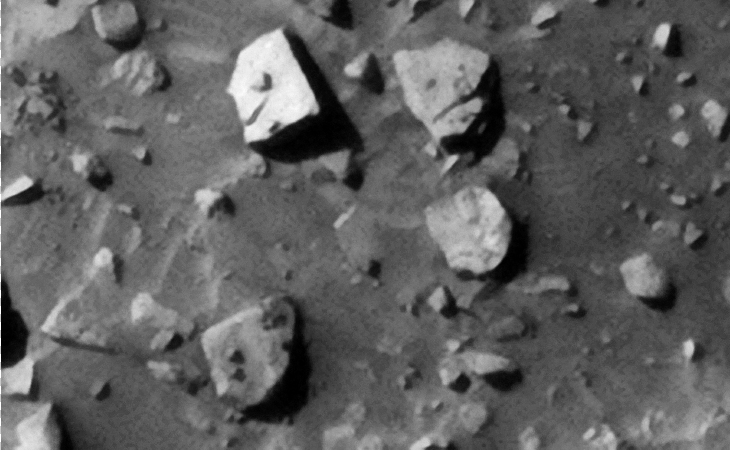 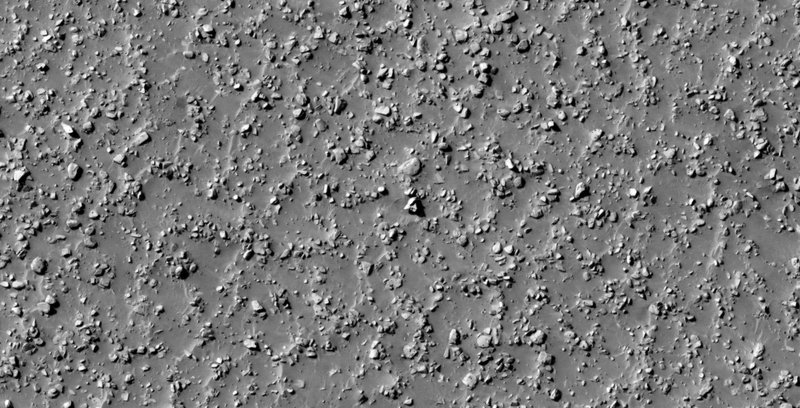 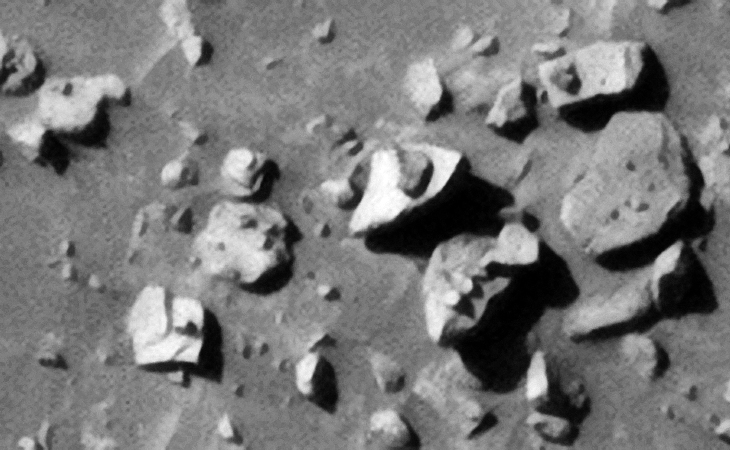 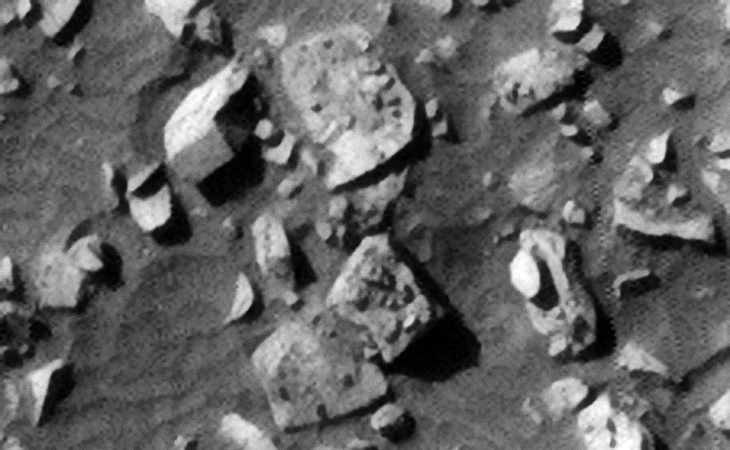 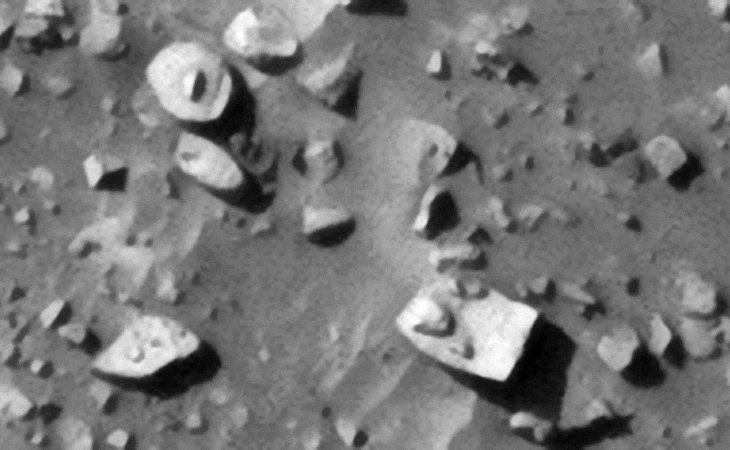 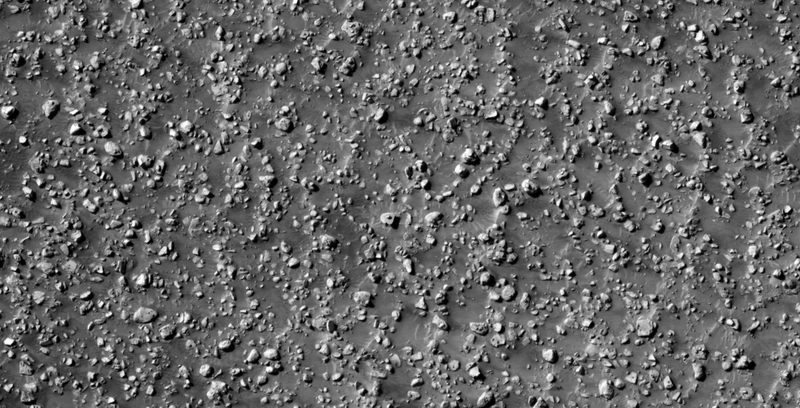 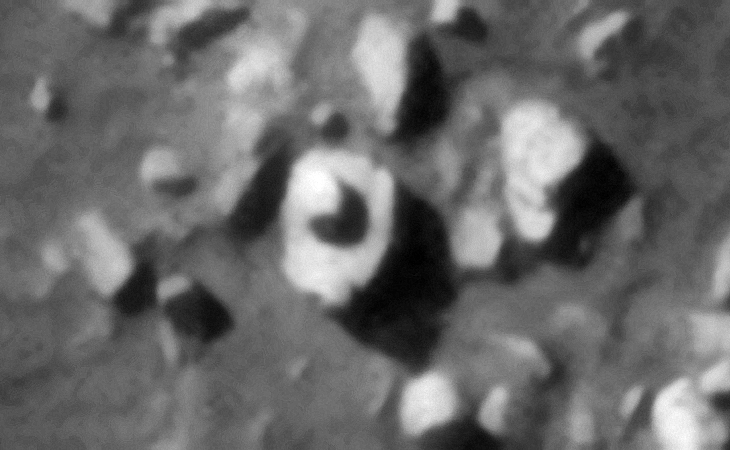 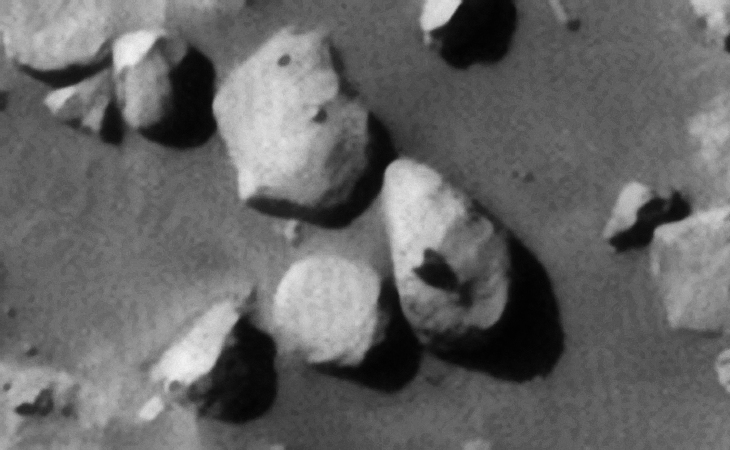 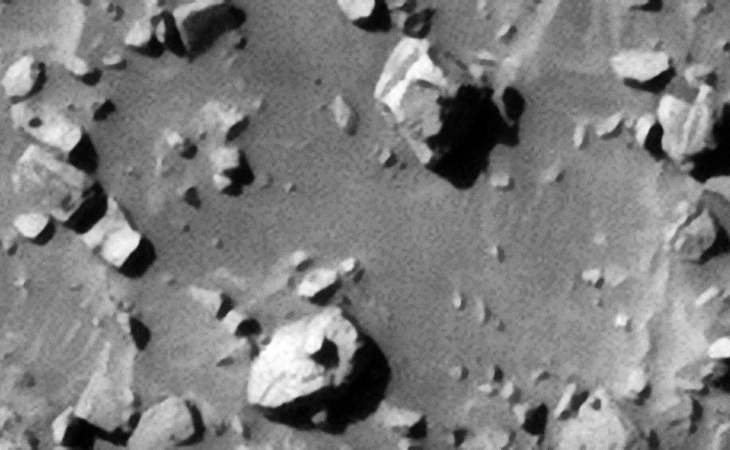 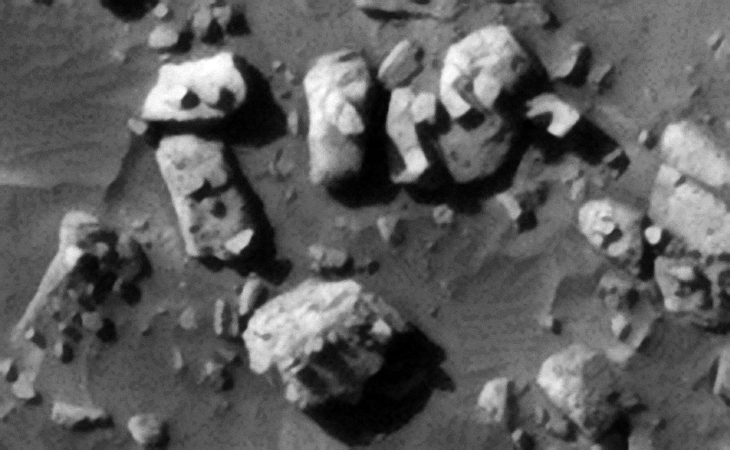 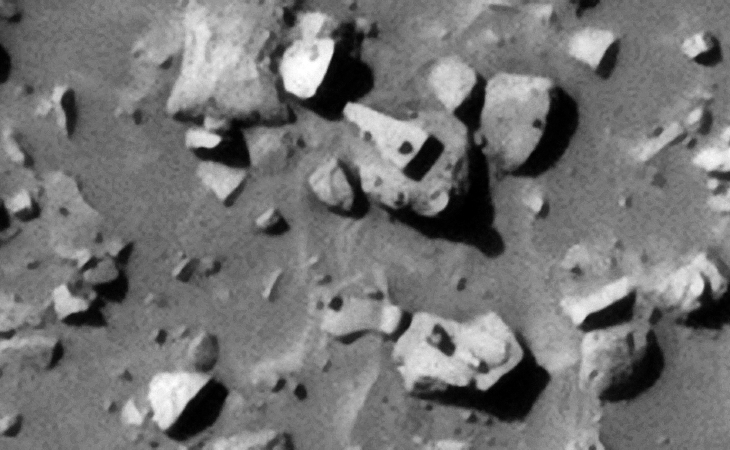 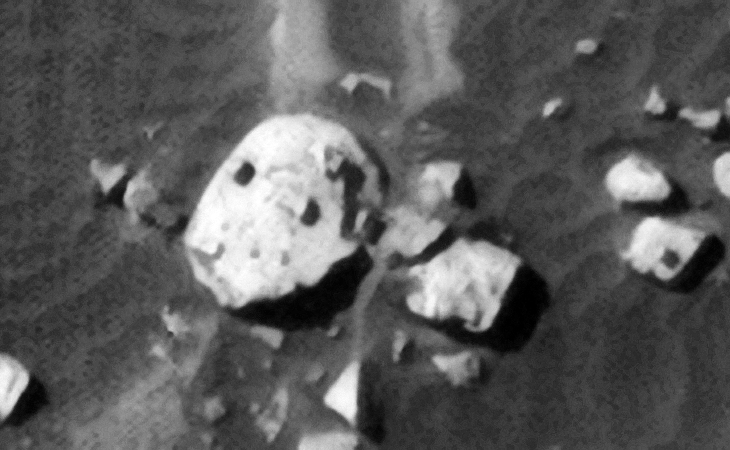 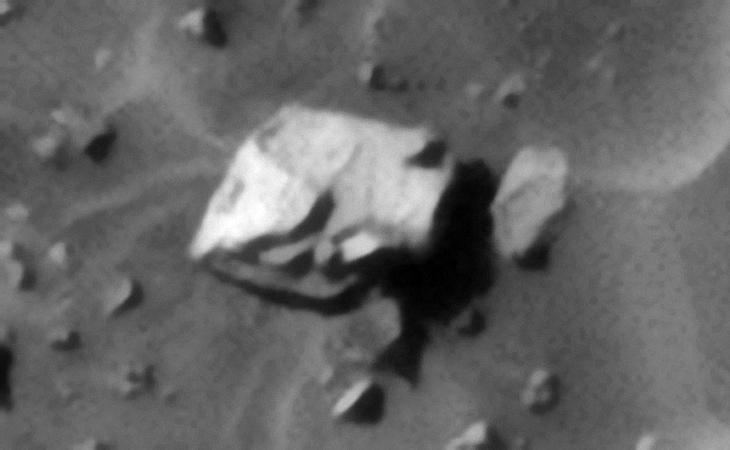 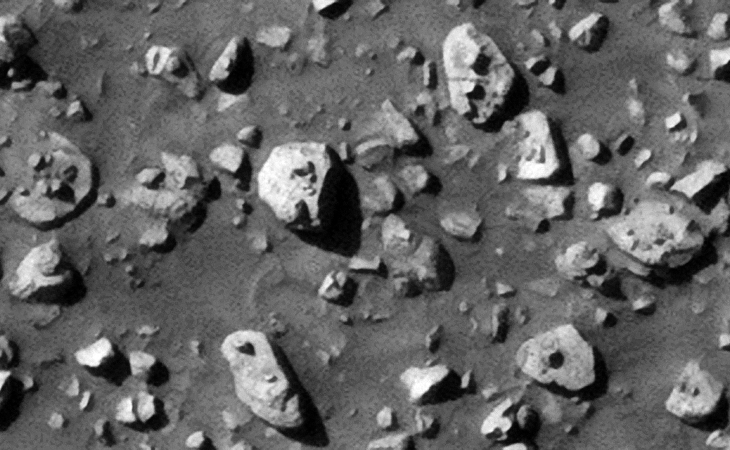 Normal boulders and rocks on Mars do not have small, uniformly spaced, centred, mostly same sized knobs on them which is why I speculate that these have been manufactured, perhaps by our ancient ancestors. 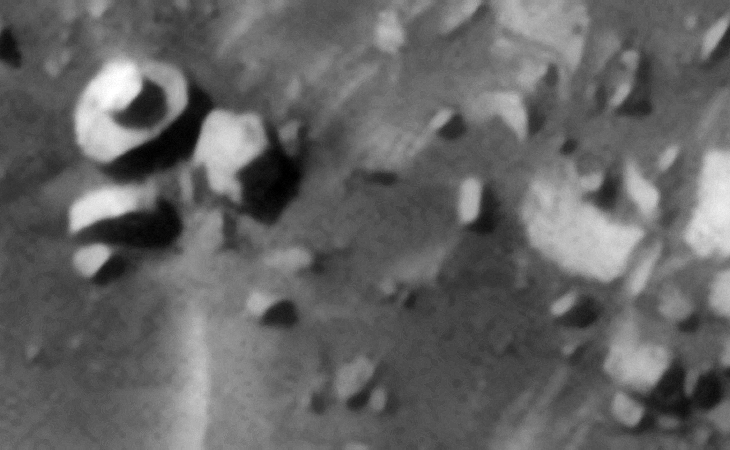 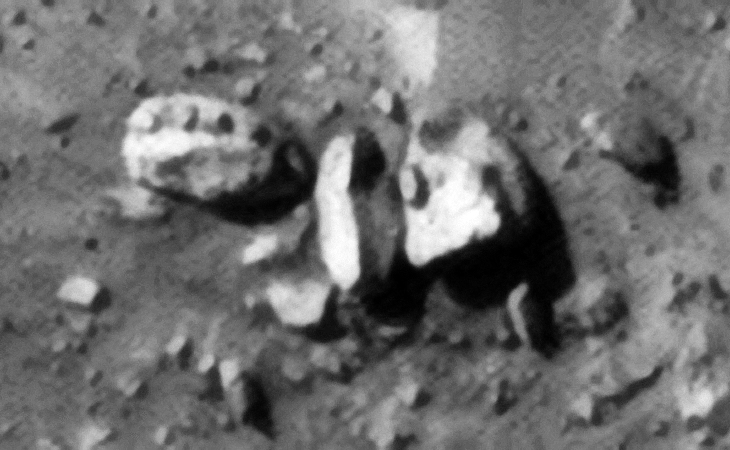 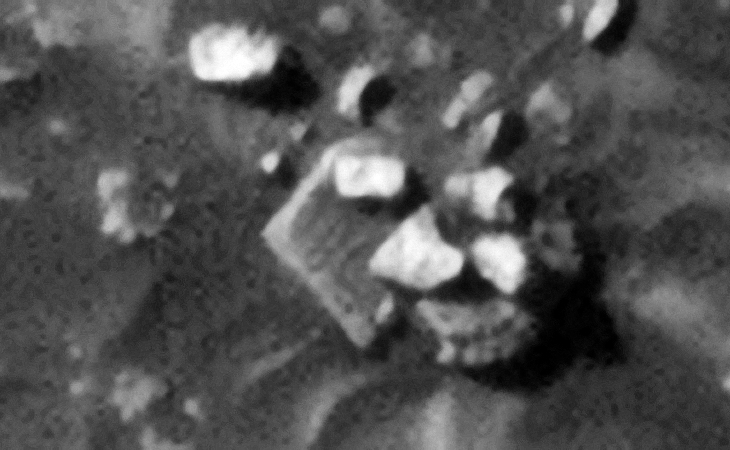 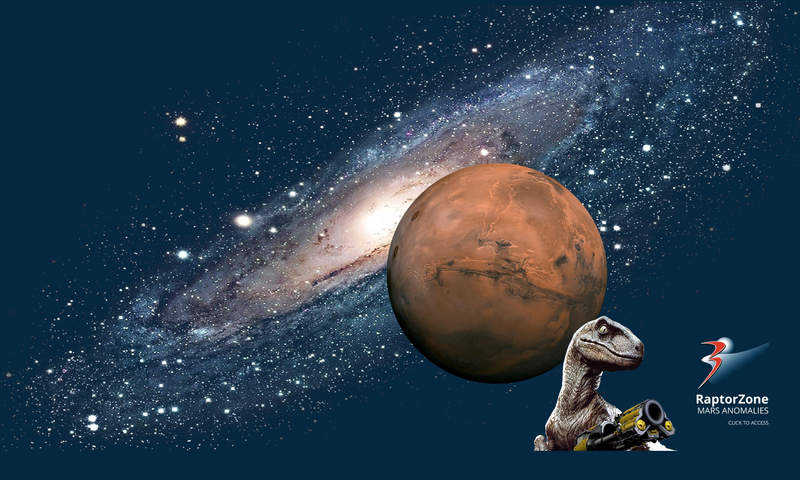 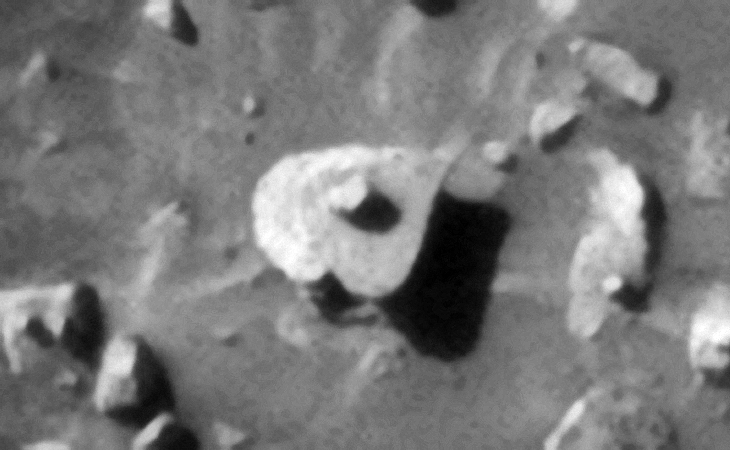 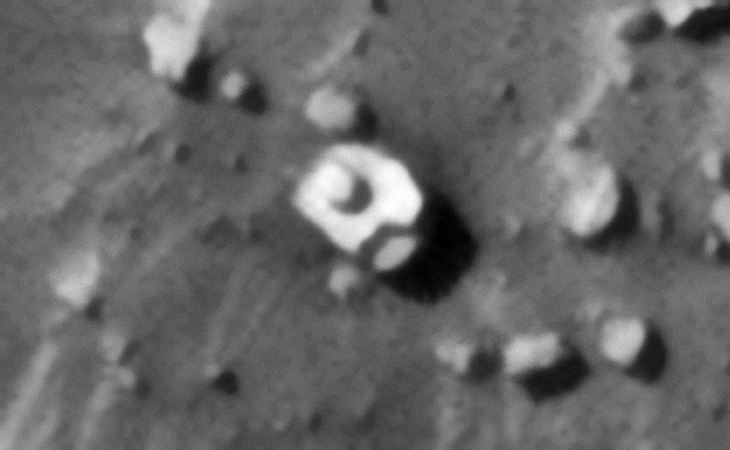 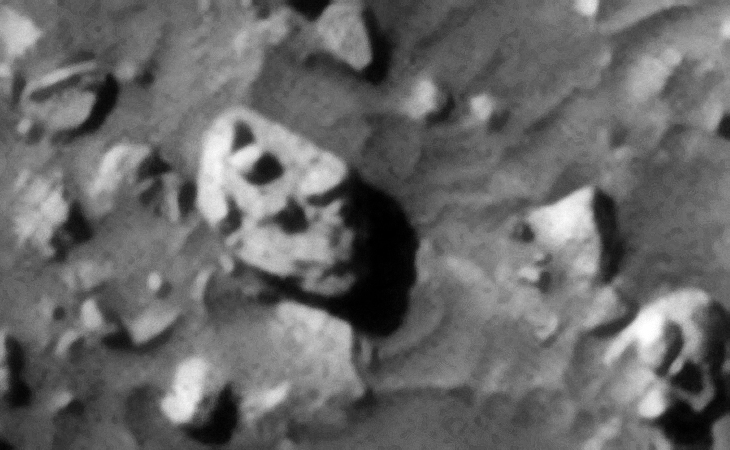 Next PostNext More Megalithic Ruins Found on Mars?